It’s been 7 months since I’ve been seriously adhering to a low carb high heathy fat (LCHF) lifestyle, but like anybody else it’s easy for me to get frustrated when I don’t reach goals as quickly as I would like. I have to stop and remind myself that I didn’t become obese and Diabetic overnight and it’s going to take time to reverse these symptoms. These updates help me take stock of my progress, because after all it’s about progress, not perfection. At my highest weight, my Body Mass Index (BMI) put me well into the Class 2 Obesity category. I felt terrible, looked terrible and was desperately unhealthy. Losing weight seemed impossible – or if not impossible, too difficult. This is what I looked like 2 1/2 years ago, when I first heard about following a low carb high healthy fat lifestyle from a retired physician-friend. 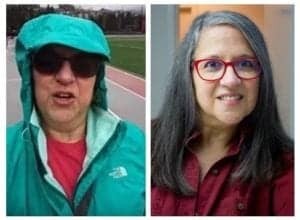 At this point, I had already lost about 25 pounds by cutting portion sizes and exercising, but my weight was always fluctuating by 10 or 12 pounds and with it, my blood sugar, cholesterol and blood pressure. I was in denial about how very unwell I had become. The sudden death of two girlfriends my own age was certainly a ‘wake up call’, but it was my blood pressure that had become dangerously high that was the final impetus for me to change. I knew that if I did nothing, I was at very high risk of having a stroke or heart attack. My choice was (1) to go on medication for high blood sugar, high cholesterol and high blood pressure or (b) change the way I ate. It was, as they say, a “no brainer”. March 5, 2017 was the day I made the decision to change and there has been no looking back. Change only happens when the pain of staying the same is greater than the pain of changing. This is what I looked like when I started. Based on my BMI, I was well into the Class I Obesity category. My blood pressure ranged between Stage 2 Hypertension and Stage 1 Hypertension – dangerously high. My morning fasting blood sugar was averaging ± 12 mmol/L (216 mg/dl) and my HbA1C was likely ~ 9.5%. My triglycerides were high and my LDL cholesterol (“bad cholesterol”) was well above what it should have been for someone who was Type 2 Diabetic and had family risk factors. 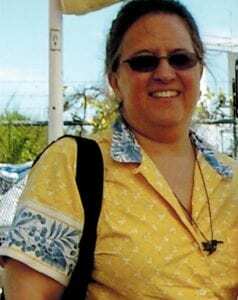 I was determined to reverse the symptoms of Diabetes, high triglycerides and high blood pressure by changing how I ate. When I began this journey at the beginning of March, my fasting blood glucose was averaging 12 mmol/L . My HbA1C was likely ~9.5%. Four months into eating low carb high fat, my fasting blood sugar was averaging 8.5 mmol/L and my HbA1C was 7.5% – still above the ≤ 7.0% therapeutic target for those with Type 2 Diabetes. This week, 3 months later, my HbA1C reached the ≤7.0% therapeutic target for those with Type 2 Diabetes, but that is still not good enough. My goal is to get it at or below 6.0 % – below the Diabetic cutoff range. My challenge remains that my blood sugar is frequently high in the morning when I am fasted, yet is significantly lower in the late afternoon when I have been intermittent fasting for the same length of time. I continue to suspect that cortisol remains a factor as cortisol production naturally begins to climb around midnight and reaches and is highest level between 6 am to 8 am. This higher blood sugar in the morning is something called “Dawn Phenomenon” which I had for a good 5 years before becoming Type 2 Diabetic. When I track my blood sugar from 10 pm until 8 am, it starts going up in the wee hours of the morning and keep rising until 6:30 or 7 am so it’s evident that my fasting blood sugar is rising with the daily fluctuations in cortisol. 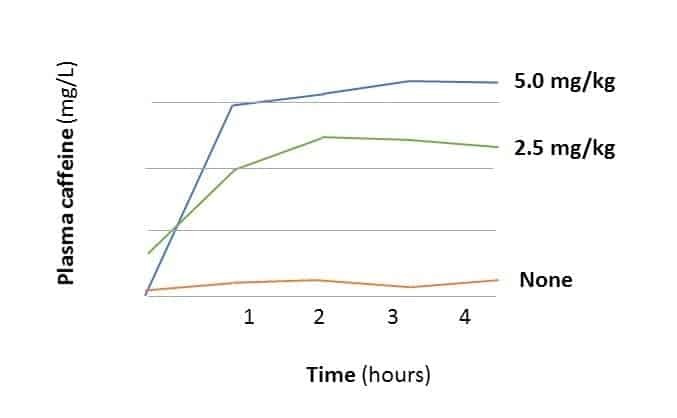 When I am intermittent fasting for the same amount of time during the day, my fasting blood glucose is always < 5.0 mmol/L and many times less than 4.0 mmol/L – which is usually my signal to eat something. Under the effect of cortisol combined with my liver still being insulin resistant, the glucose has no where to go and just sits in my blood. I am going to try to get back to incorporating some form of daily activity to lower stress, which kind of fell off the radar and add some short duration, high-strength / high muscle-use exercise such as squats which can help move blood glucose into the muscle. I continue on my low very low dose of Ramipril (Altace) and my blood pressure is averaging 127/74 mmHg. When I stop the meds for a day or two to measure my blood pressure, it is still averaging 145/82 mmHg which is still too high to discontinue the medication, but it is far better than the 160/90 mmHg that it was 3 months ago. I’ve lost 20 lbs so far but its the change in my body and face shape that is most noticible! Facial lines are more visible, but when I look in the mirror I actually recognize the face looking back. I am now below the high end of the overweight category based on BMI and am continuing to lose weight steadily. At the beginning of this journey, I planned to lose ~30 lbs, but I realize that to attain an ideal waist circumference that is 1/2 my height, I likely have another 30 pounds to lose now which means I am not quite half-way there, but I am making progress! …and that is the goal; progress, not perfection. Note: I am a “sample-set of 1” – meaning that my results may or may not be like any others who follow a similar lifestyle. If you are considering eating “low carb” and are taking medication to control your blood sugar or blood pressure, please discuss it with your doctor, first. Is Low Carb eating really not sustainable? For the umpteenth time in as many weeks, I had a client tell me that they were told that “low carb eating is not sustainable” – and this was in the same breath as the decision to increase the second of two medications they are prescribed for Type 2 Diabetes. What frustrates me is that their physician did not even want this person to try a lower carbohydrate approach. 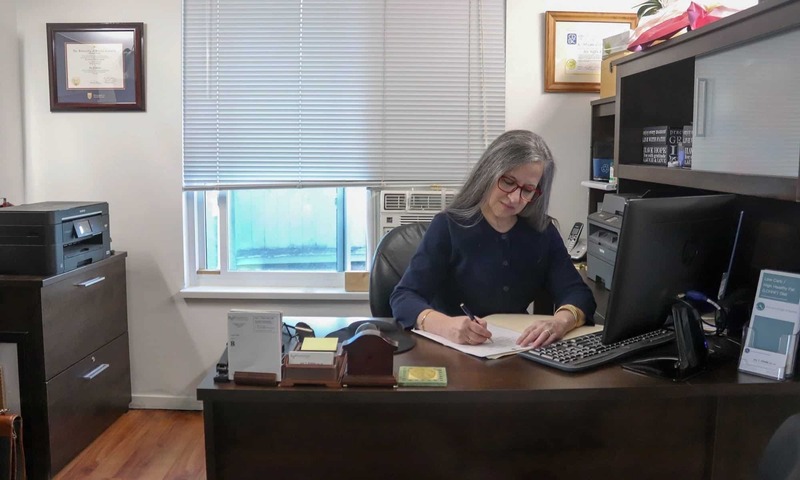 The client was reminded soberly that “Diabetes is a chronic progressive disease” and that it is “expected” that over time the dosage of both of those medications will increase until they can’t be any more, and that they will eventually be insulin-dependent. I think that for many, this becomes a self-fulfilling statement and believing it to be ‘inevitable’, people are resigned that there is ‘nothing they can do’. But is this true? Does it have to be a chronic, progressive disease? Medical professionals across Canada, the United States, Australia and Europe have clinical experience demonstrating that the symptoms of Type 2 Diabetes can be put into remission and that most are able to the majority of their patients off many, if not all of their medications by following a low carbohydrate diet. What about the claim that “low carb eating is not sustainable“? Certainly, people who adopt a low carb lifestyle eat differently than they did before – but so do people who choose to be vegetarians. How often are those who choose not to eat meat for ethical or moral reasons told that “a vegetarian diet is not sustainable“? I don’t know of any. Following a low carb lifestyle is no more or less sustainable than choosing not to eat meat. For heaven’s sake, for the last 40 years people have been advised to eat a low-fat diet and I don’t recall anyone being told that “a low fat diet is not sustainable“. I like to think of adopting a low carb lifestyle in terms of someone who has been diagnosed with a food allergy or food intolerance. Someone who’s been diagnosed as Celiac is intolerant to gluten and they make the choice to avoid gluten for health reasons. People with nut allergies also face food restrictions that guide their choices. 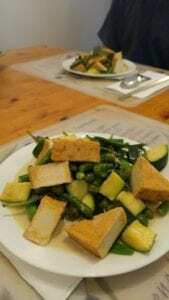 Do we ever hear Celiacs being told that “eating a gluten restricted diet is not sustainable” or that “eating a nut-free diet is not sustainable“? People are advised by their doctors, or who have consulted with their doctors to follow these dietary restrictions for health reasons should not view this style of eating as any more or less restrictive or limiting than any other dietary restriction made for heath reasons. Many people who adopt a low carb lifestyle do so to reduce the risks associated with health conditions such as Type 2 Diabetes, high blood pressure and high triglycerides / cholesterol. People who have seen friends or family members live through or die from complications from these conditions are likely to be highly motivated to make dietary changes and to stick with them. As with any other dietary restriction, a low carb lifestyle is a dietary choice and the willingness to continue with it is tied to the strength of the motivation to make that dietary change in the first place. Note: The American Diabetes Association gives Type 2 Diabetics the option of following either a moderate low carb diet (130g carbohydrate) or a low calorie calorie restricted diet for up to a year, for weight loss. At the present time, Diabetes Canada does not yet approve this approach. Once people start eating lower carb, how much better they feel provides the self-motivating to continue! They report that they are no longer driven by food cravings, that they sleep better, have more energy and mental clarity and focus. Many people with joint stiffness and pain find it improves considerably and of course, they lose weight naturally and almost effortlessly, without being hungry. There is such a sharp contrast between how they feel after adopting a low carb lifestyle to how they felt before, that this serves to reinforce their initial reason for adopting this change. Why would they want to go back to feeling overstuffed, lethargic, hungry and tired? So they continue in their lower carb lifestyle. 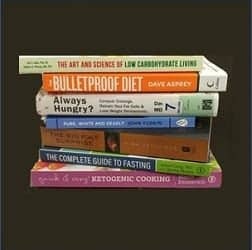 What if when a person is faced with the preconceived conclusion that “low carb eating is not sustainable” they responded by suggesting adopting it for 3 months and re-running the blood work, along with the commitment to monitor their own blood glucose levels and blood pressure daily, and returning immediately if there are any issues? People could get “buy in” from their doctors in order to improve their own health using dietary changes – in much the same manner as dietary changes are used to manage other conditions. This is what I ask my clients to do before they begin a low carb diet; to discuss the approach with their doctors beforehand and have them follow them over time. Maybe to change the ‘status quo’ is simply a matter of each of us advocating for change in managing our own “chronic, progressive diseases” – especially those that need not be either chronic, nor progressive. It’s the day after Canadian Thanksgiving and many people are wondering what to do with leftover turkey. 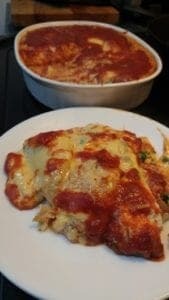 Well, here’s an almost no-carb idea for a delicious LCHF Lasagne! 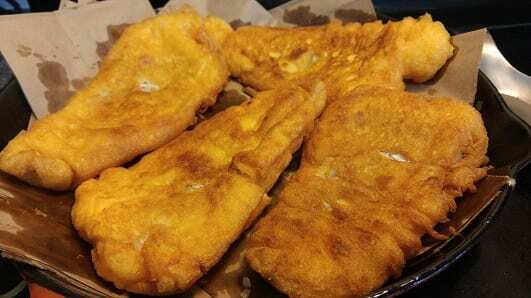 It can also be made with sliced cooked BBQ chicken breast, as well. Grease an 8″ x 10″ ceramic or glass baking dish liberally with butter or a high quality fat of your choice. In a bowl, place 500 ml (2 cups) plain tomato sauce and season with salt, freshly ground black pepper, fresh squeezed garlic, rubbed oregano and extra virgin olive oil and set aside. In another bowl, beat 3 eggs and add enough whipping cream to bring the volume up to 500 ml (2 cups). Season with salt and freshly ground black pepper and add 100 gm (3 oz) grated Parmesan (or Asiago) cheese. Grate a bit of fresh nutmeg into the mixture, and set aside. In the microwave, cook 2 pkg. 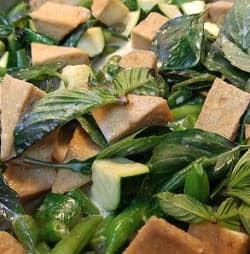 of chopped, frozen spinach until defrosted, but not cooked. Place in a sieve and press out water with the back of a large spoon. With clean hands or a cheesecloth (if you prefer), squeeze out the excess water and leave in sieve while preparing the rest of the ingredients. In a small bowl, beat 3 eggs and season with salt and freshly ground black pepper to taste and then add the well-drained spinach. Add a touch of whipping cream to increase volume / adjust texture, if desired. Slice the turkey or chicken breast to 3 mm slices (not to thin as it won’t have the correct texture when baked). 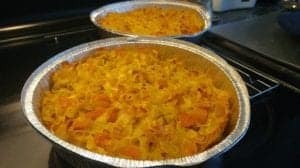 Now you are ready to assemble the lasagna, but while you are doing that, preheat the oven to 450° F.
In the bottom of the greased baking dish, layer 1/2 the tomato sauce mixture. Add one layer of sliced turkey (or chicken) – about 1/3 of the total quantity, being sure to leave no gaps between pieces. Spread the sliced poultry with a layer of the spinach mixture and top that with 1/2 the cream mixture. Add the second layer of poultry and on top of that, spread the rest of the spinach mixture and top that with the remainder of the cream mixture. 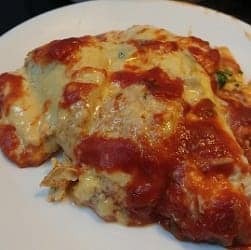 Finish with the remainder of the sliced poultry and top with the rest of the seasoned tomato sauce and cover the top well with shredded Parmesan cheese, or a mixture of Parmesan or Asiago cheese mixed with shredded mozzarella. Bake at 450° F until bubbly and hot and slightly browned on top. 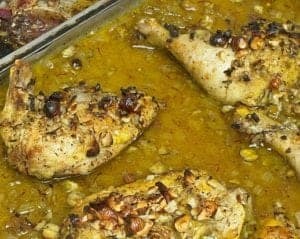 In both a recent A Dietitian’s Journey entry (Food as Medicine – dramatically lower blood sugar) and an academic article (Food as Medicine to Lower Blood Glucose – scientific support), I discussed the use of- and scientific basis for consuming beverages containing apple cider vinegar, ginger, turmeric root, and kombucha in lowering blood sugar levels. In this post, I provide the recipe for “ACV Gingeraid” along with the different variations mentioned in the above-mentioned articles. These beverages are most effective in lowering blood glucose when drunk immediately after a meal containing carbohydrates and nightly, before bed. NOTE: Given the possibility of these ordinary foods resulting in a dramatic drop in blood sugar, if you are taking any medication, especially for controlling high blood sugar, check with your doctor before adding any of these foods to your diet. In a 1 litre of carbonated water (Club Soda/Seltzer), add 2 tsp of unpasteurized, unfiltered apple cider vinegar such as Braggs®. Allen’s® also makes one, but read the labels carefully, as their regular apple cider vinegar is pasteurized and hence does not contain the “mother”, or culture. Using a very fine grater, grate a 1″ x 1″ knob of washed and peeled ginger root and add it to the acidulated water. Cover tightly and chill if desired, before drinking or drink at room temperature. In a 1 litre of carbonated water (Club Soda/Seltzer), add 2 tsp of unpasteurized, unfiltered apple cider vinegar such as Braggs® or Allen’s® unpasteurized. Using a very fine grater, grate a 1″ x 1″ knob of washed and peeled ginger root and add it to the acidulated water. Using a polyethylene kitchen glove or plastic sandwich bag on the hand holding the turmeric root, on the same grater, grate a 1/2″ by 1/2″ piece of turmeric root and add it to the Gingeraid. 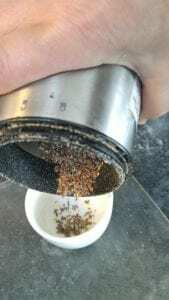 Add a few grindings of freshly ground black pepper (increases bioavailability of turmeric, due to it containing piperine). Cover tightly and chill if desired, before drinking or drink at room temperature. 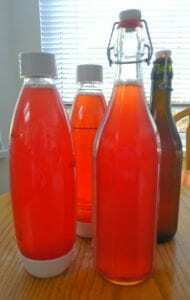 In a 1 litre bottle suitable for carbonated drinks, add the carbonated water (Club Soda/Seltzer) and Kombucha (any flavour). Be sure to choose brands with as few carbohydrates as possible, or brew your own using a low sugar recipe. To this mixture, add 2 tsp of unpasteurized, unfiltered apple cider vinegar such as Braggs® or Allen’s® unpasteurized. Using a very fine grater, grate a 1″ x 1″ knob of washed and peeled ginger root and add it to the acidulated water. Cover tightly and chill if desired, before drinking or drink at room temperature. 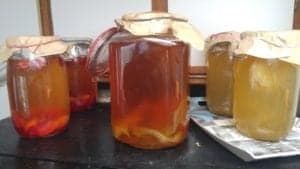 By changing the fruit that the second fermentation of Kombucha is made with, the flavour changes substantially. The fructose in the fruit is largely consumed by the acetic acid bacteria during the second fermentation. I once believed that Type 2 Diabetes was a chronic, progressive disease because that’s what I was told, but I am seeing for myself that a reversal of symptoms is possible. 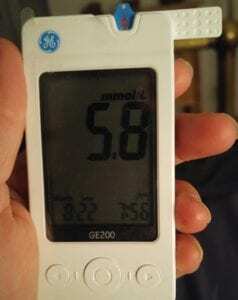 Today, after more than 10 years as someone with Type 2 Diabetes, I had an almost normal Fasting Blood Glucose reading of 5.8 mmol/L (105 mg/dl) – when just 6 months ago, my average fasting blood glucose was between 10 – 11 mmol/L (180 – 198 mg/ml). 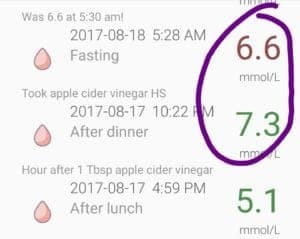 Just 2 months ago, after eating a low carb high fat diet with no more than 50 g of carbs per day, my Fasting Blood Sugar was averaging 7.5-7.8 mmol/L (135-141 mg/dl) and at the lab on July 25, 2017, my blood sugar was still way too high, at 8.0 mmol/L (144 mg/dl) – see below. It was at that time that I decided to lower the amount of carbs I ate and to delay the time between meals (something referred to as intermittent fasting) as these are well-documented to help lower insulin resistance, and in turn, blood glucose. It isn’t “fasting” in the classic sense and there are many things that can be consumed during this period, that don’t affect blood glucose levels or cause a release of insulin. For me, I ate a full supper every weekday and then didn’t eat until supper the next day, although I would have any one of a number of things that don’t impact insulin or blood sugar in between, if I wanted to. I’d have a coffee in the morning (my usual cappuccino made with diluted cream, as opposed to milk as it has no carbs) and since there aren’t any carbs in it, it’s something I can enjoy when I am “fasting”…just like “bone broth”. A month later, on August 22nd, for the first time, my 2 hour post-prandial blood glucose (i.e. two hours after a meal) was 5.8 mmol/L (105 mg/dl). To put that in context for someone without Diabetes, blood glucose taken two hours after meals should be less than 7.8 mmol/L (140 mg/dl) – so my blood sugar after supper was not only in the non-Diabetic range, it was much better than that! 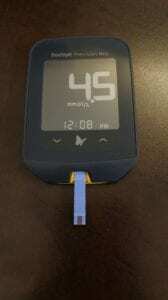 The problem was, my fasting blood glucose still remained high. I carried on with delaying the time between meals (“intermittent fasting”) during the weekdays and ate what the number of meals I wanted on weekends, keeping my carbs at a low level, and monitoring my blood glucose every two hours or so. This is the level I discovered that I do best at. As mentioned in a previous blog, I added a no-carb beverage before bed that I made with club soda (seltzer), apple cider vinegar and grated ginger root (and sometimes added grated turmeric root) and started seeing my fasting blood sugars come down. I dubbed it “Gingeraid”. 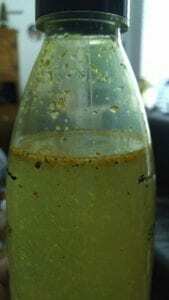 The last three weeks I have been playing around with drinking Kombucha during the day (which is a fermented tea beverage that is mildly acidic) and as I found out, the acid in Kombucha is acetic acid – just like apple cider vinegar. I was noticing a marked improvement in my fasting blood sugars! 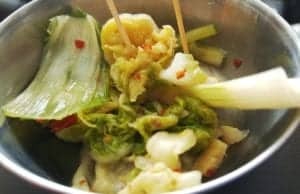 I’ve since done some poking around in the scientific literature and have discovered that Kombucha and other fermented foods such as sauerkraut or kimchi (cabbage fermented with ginger, green onion and chili – a Korean staple ) have been documented to have a marked effect on fasting blood glucose. Today was a first, almost normal fasting blood glucose of 5.8 mmol/L (105 mg/dl). I did a “happy dance”! I will write and article documenting some of the scientific evidence that fermented products such as Kombucha, kimchi and apple cider vinegar lower blood sugar but suffice to say, in the meantime I will keep eating the same lower level of carbs and monitoring my blood sugar, continuing to delay the time between meals a few days per week (supper to supper, but eating food if hungry or if my blood sugar is low), drinking Kombucha during the day (I love it diluted 50-50 with Gingeraid), and will drink 1/2 to one litre of Gingeraid before bed. Here is the link to the article documenting that the components of ‘Gingeraid’ including apple cider vinegar, ginger root, turmeric root, as well as kombucha and kimchi lower blood sugar: Food as Medicine to Lower Blood Glucose – some scientific support. I once believed that Type 2 Diabetes was a chronic, progressive disease because that’s what I was told by my endocrinologist and by the nurses I saw at the Diabetes Clinic, but I am seeing for myself what many clinicians and researchers have discovered – that achieving remission is possible! But if I end up without any of the symptoms of the disease, does it matter? Like most young adults, my three sons hate when photos are taken of them, however when we gather for a holiday each year in the spring and fall, they indulge me in a group photo. This has provided me with visual documentation of my progress these past two and a half years, since I first learned about a Low Carb High Fat (LCHF) style of eating. These cell phone pictures certainly aren’t the best quality photos, but they serve the purpose. 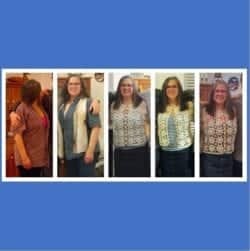 The first photo from the left with me in the plum shirt, was taken April 2015, around the time a retired-physician friend first told me about the work of Dr. Jason Fung, a nephrologist in Toronto that teaches his patients a LCHF-diet, along with intermittent fasting (IF) to reverse the symptoms of Diabetes and obesity. The second where I am wearing a scarf was taken in September 2015, shortly after I began eating a liberal lower carb diet, but was not following a ketogenic lifestyle or intermittent fasting. I was not eating as large amounts of carbohydrate as I had been, and guess I was probably eating ~ 130 g carbs per day. The third photo, the one in the middle, was taken exactly a year ago in September 2016. I had lost some weight, but as you can see, the crocheted cardigan I was wearing was stretched skin-tight over a striped camisole. Quite by accident, in the fourth photo taken in April 2017, it turned out that I wore the exact same outfit as I did in the previous September. This photo was taken only a month after I had begun following a LCHF lifestyle seriously at the beginning of March (6 months ago). 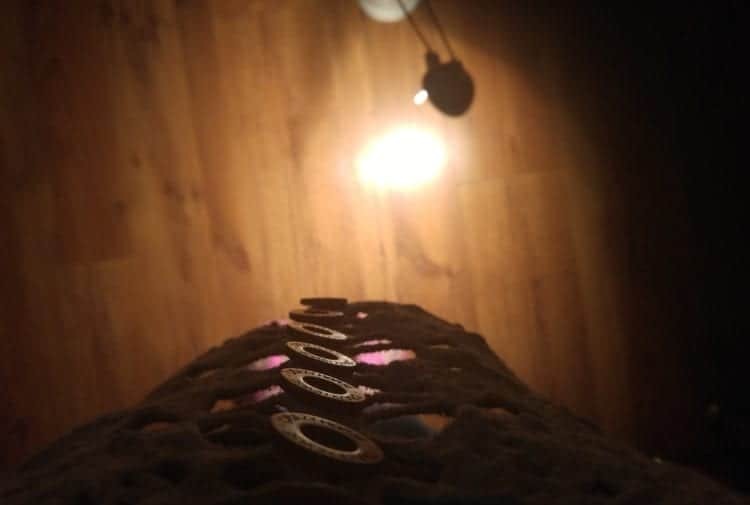 I wore the crocheted cardigan open, and one can see that while I lost a lot of weight on my face and neck, my abdominal circumference had decreased to a lesser degree. Through the large spaces in crochet pattern of the cardigan, one can see the outline of the bottom of my skirt and my pink sandals. There is 4″ of space all around! The significant changes in weight, abdominal fat, and overall much lower blood sugar at all times of the day has occurred since I first lowered my daily carb intake from ~50 g per day in March to ~35 g per day in July – and began seriously intermittent fasting a few days per week, from supper to supper (except for coffee in the morning). While I still have another ~25 pounds to go to reach what I believe will put me at a waist circumference of 1/2 my height, I am definitely “getting there”. The progress is slow, yes, but consistent. My lab tests and daily glucose readings reflect the change. These photos serve as more evidence. This weekend, for the first time, I forgot to take my “baby dose” of Ramipril one night and decided to measure my blood pressure at several points the next day, to see whether it was coming down compared to 3 months ago when I began temporarily taking it, by choice. My systolic blood pressure without medication was 15 mmHg lower than it was three months ago and my diastolic blood pressure is ~5 mmHg lower. I’m going to continue taking this medication until my blood pressure is ideal without it, but it is encouraging that I am much closer to that goal. 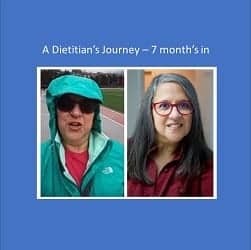 I am sharing these photos to encourage others that for me, following a low carb high fat lifestyle has made a huge difference – and the more seriously I limited the amount of carbs I ate, the more significant my changes have been. Had eating 50 g of carbs per day produced the results I sought with respect to my insulin resistance and weight loss, I would have stayed at that level, but it became evident that I don’t process carbs at all well. For me, it was necessary to lower the amount of carbs I ate, but it is certainly worth it. There are days, such as holidays that I choose to eat more than 35 g of carbs per day but I choose to avoid going higher than 50 g per day. I consider my intolerance to carbohydrates to be no different than if I was wheat intolerant or lactose intolerant. Some people who are lactose intolerant, for example can consume some lactose and their bodies can digest it. Others lack the ability to digest significantly smaller amounts of lactose and necessarily limit it in order to feel well. The inability of my body to process carbohydrates is no different. Everyone is different in terms of the amount and even the types of carbohydrates their bodies can process without impacting their insulin levels, blood pressure, lipids or weight, which is why there is no one-size-fits-all “low carb diet”. What is ideal for someone else will be different than what’s ideal for me. My role as a Dietitian is to work with clients and their physicians to help determine what level of carbohydrate intake works best for them – in order to lower insulin resistance (and in turn blood glucose), lower high triglycerides and cholesterol, as well as blood pressure. Weight loss is a natural byproduct of addressing these. Please send me a note using the “Contact Us” form on this web page. I’m Joy Kiddie, practicing what I preach. I often get asked what I recommend people do when it is a special occasion, or a holiday. Are we allowed a “cheat day”. This is how I answer the question. It may seem like a strange thing for a Dietitian to say, but when it comes to weight loss, or targeting lower blood sugars, or pressure or cholesterol, I don’t believe in “diets”. The way I look at it is, if people go on a diet, then at some point, they go off of it. I prefer to think of what we eat in terms of “everyday foods” and “sometimes foods”. Eating a low carb high fat (LCHF) diet is a choice, just like becoming a vegetarian. People become vegetarian for different reasons; sometimes it is for religion reasons or ethical reasons and sometimes it is for the perceived health benefits. It’s the same with the reason people start eating LCHF. For some, it is to lower insulin resistance, for others it’s to address high blood sugar or to lose weight. Some decide to eat this way because it was the diet of our ancient ancestors. Since the reasons people start eating LCHF are different, the reasons people might give to eat a high carbohydrate food also differ. As far as an idea of a “cheat day”, I don’t find the idea of being “allowed” or “not allowed” foods, helpful. It implies that there are rules that we are somehow ‘breaking’ – and this comes with baggage all its own. Restricting calories or restricting food and weighing and measuring every bite that we put in our mouths is not a paradigm that has served most people well – and this type of obsession and attention to “how much” can, in theory, feed a predisposition to disordered eating. I encourage people to learn to follow a LCHF style of eating and to become adapted to burning fat, rather than just carbohydrate. Then I advise them to eat when they are hungry and stop eating when they are no longer hungry. It sounds simple, but there is some physiology behind it. Without constantly high insulin levels driving food craving, eating a diet rich in healthy fats enables people to stop eating when they are no longer hungry. 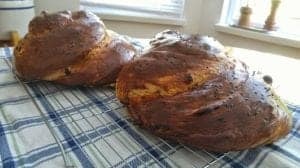 “What will the consequences be if I eat 2 oz of this saffron-raisin egg bread? Or 4 oz? Or more? For example, if a person that normally eats ~100g of carbohydrate a day wants to eat a few slices of pizza, the physiological consequences will be different than a woman that normally eats 35g of carbohydrate, or a man that normally eats 50g of carbs per day. If either of them is insulin resistant or Diabetic, it will certainly impact their blood sugars (the symptom), but how long will it have an effect on their insulin levels? That is the more important question. For people who are in ketosis, eating foods very high in carbohydrates will cause that to cease for a time, and it might take several days of eating LCHF again until they are again in fat-burning mode. Likely there will be a few days of being hungry through the day. Are they okay with this? I want people to have a healthy relationship with food – and that means that they can eat anything – but how much and how often? The last time I made this bread for company, I gave them the remaining loaves to take home. I ate a small amount and really enjoyed it. Everyday (i.e. “everyday foods”), I choose to eat LCHF, but sometimes (i.e. “sometimes foods”) I will take a taste of something yummy – and I encourage my clients to feel free to do so too. A bite of an ice cream or cake, in the grand scheme of things, won’t make a huge difference, in fact, I calculate the number of carbs that are in the food I am considering, and decide beforehand, if it is worth it for me. Tonight I will be having my family over for a special dinner and I have decided in advance that I will have 2 oz of the bread, a spoonful of the noodle pudding and a 2″ x 1″ piece of the honey cake. 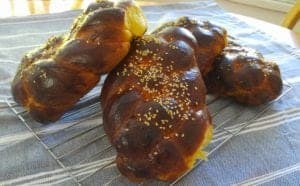 Sure I can have more, if I wanted, but I’ve come to realize that whether I eat 2 oz of the saffron honey egg bread or 10 oz of it, it will taste exactly the same! Why eat more? 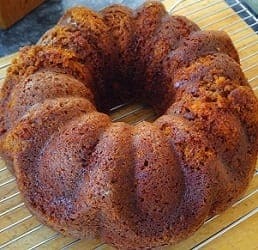 I’ve never been a big fan of the noodle dish, so a small taste is fine with me, and the honey cake is only made once a year on this occasion, and it’s my mother’s recipe from 1954, so yes I am going to eat a bigger piece and enjoy every bite. So what am I going to eat? Chicken! …and some red butter lettuce salad with raspberries on top and drowned in olive oil. Oh! And an apple slice, dipped in honey, for a sweet year. Eating LCHF is a choice, and a lifestyle and as such, we can choose to eat other things. How much, how often and which things is up to us. If our goal is to lower our insulin levels, we will know (or need to learn) how much of something won’t have a large, lasting impact. Note: I am a “sample-set of 1” – meaning that how I implement a low carb diet may differ from others who follow a similar lifestyle. If you want to adopt this kind of lifestyle, please discuss it with your doctor, first. Several years ago, I began to ask myself how it is that 2/3 of men and ~1/2 of women in Canada are either overweight or obese. In the early 1970s, only ~8% of men and ~12% of women were obese and now almost 22% of men and 19% of women are obese- even though statistics show we are eating much less fat, drinking way less pop and eating more fish than ever before. I wondered if the increase in overweight and obesity might be related to the changes in the Dietary Recommendations that began in 1977 and which encourage us to eat 45-65% of daily calories as carbohydrate and to limit all kinds of fat to 20-35%. In early 2015, after scouring the scientific literature and reading about the clinical use of a Low Carb High Fat (LCHF) diet, I came to the understanding that those who are insulin resistant or have Type 2 Diabetes or have other indicators that they are not tolerating large amounts of carbohydrate well could improve their symptoms significantly by following a lower carb style of eating, with the oversight of their doctors. Such an adjustment in lifestyle seemed like a small price to pay for the potential of significantly improving – and in some cases reversing symptoms of these conditions, especially when compared with the reality that at best these symptoms will stay the same and very likely will get worse over time. Many scientific studies as well as physician’s clinical experience indicate that a lower carb style of eating combined with extending the time between meals lowers insulin resistance (which is the underlying cause of high blood sugar). When insulin levels are lowered, blood pressure comes down and triglycerides and some other lipid ratios normalize. 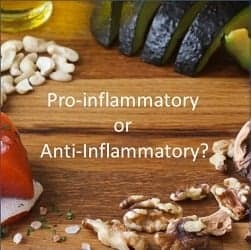 Physicians across Canada, the US, the UK and Australia that prescribe a LCHF Diet to their patients have found that they experience a significant improvement in the symptoms of insulin resistance, Type 2 Diabetes, high blood pressure, high triglycerides and that a natural reversal of many symptoms is possible. Such improvements often enable these doctors to reduce- and sometimes discontinue medications that were previously prescribed to their patients for these conditions. While the American Diabetes Association enables Type 2 Diabetics to choose to follow either a moderate low carb diet (130g carbohydrate) or a low fat calorie restricted diet for up to a year for weight loss, as of yet this approach is not approved by Diabetes Canada. A low carb diet isn’t new. In fact this was the standard recommendation prior to the discovery of insulin. It seems to me that a lower carbohydrate intake resulting in improved symptoms and lab results as overseen by one’s own doctor is preferable to living with chronic disease symptoms and taking increasing numbers of medications in an effort to manage symptoms, but each person needs to evaluate the alternative and make their own choice. For those who want to aim to improve or reverse the symptoms of these chronic diseases, I offer services as the LCHF-Dietitian. Body Weight and Cardiovascular Risk Factors in Healthy Women. Brehm et al. A Randomized Trial of a Low-Carbohydrate Diet for Obesity. Foster et al. A Low-Carbohydrate as Compared with a Low-Fat Diet in Severe Obesity. Samaha et al. Effects of a low-carbohydrate diet on weight loss and cardiovascular risk factor in overweight adolescents. and Monounsaturated Fat A Randomized Trial. Aude et al. http://archinte.jamanetwork.com/article.aspx? composition in overweight men and women. Volek et al. Consuming a Low-Carbohydrate/High-Protein vs High-Carbohydrate/Low-Fat Diet. Nickols-Richardson et al. Factors Among Overweight Premenopausal Women The A TO Z Weight Loss Study: A Randomized Trial. Weight Loss with a Low-Carbohydrate, Mediterranean, or Low-Fat Diet. Shai et al. cardiovascular disease risk in subjects with abdominal obesity. Keogh et al. Diet in Abdominally Obese Subjects. Tay et al. in Overweight or Obese Individuals with Type 2 Diabetes Mellitus or Prediabetes. Saslow et al. Effects of Low-Carbohydrate and Low-Fat Diets: A Randomized Trial. Bazzano et al. Effects of a Low Carbohydrate Weight Loss Diet on Exercise Capacity and Tolerance in Obese Subjects. Low-Fat Diet on Weight and Glycemic Control in Type 2 Diabetes. Davis et al. raises serum adiponectin and high density lipoprotein-cholesterol in obese subjects. Ruth et al. fat diets on body composition and cardiovascular risk. Noakes et al. A randomized controlled trial of low carbohydrate and low fat/high fiber diets for weight loss. Baron et al. Risk Reduction:A Randomized Trial. Dansinger et al. http://jama.jamanetwork.com/article.aspx? Protein Independent of Dietary Macronutrient Composition in Obese Subjects. O’Brien et al. diabetes compared with advice to follow a low-fat diet. Jonasson et al. and Cardiovascular Risk: A Randomized Control Trial. Bradley et al. Weight loss with high and low carbohydrate 1200 kcal diets in free living women. Lean et al. macronutrient distribution in obese subjects with rs9939609 gene variant. De Luis et al. lipoprotein subfractions and C-reactive protein levels in patients with severe obesity. Seshadri et al. and adults with obesity: A randomized pilot trial. Gardner et al. program versus hypocaloric diet in patients with type 2 diabetes mellitus. Goday et al. It bothers me when people make negative comments about a Low Carb High Fat (LCHF) style of eating, without really understanding what it is – and what it isn’t. This article addresses a few of the common misconceptions about a Low Carb lifestyle that were presented in a recent French-language newspaper article. FACT 1: Firstly, there is no single LCHF diet. The Atkins Diet is one kind of LCHF diet, so is a Paleo Diet, and these are substantially different from each other. There are LCHF diets written by non-healthcare professionals such as the “Bulletproof Diet”, as well as those from Dr. Jason Fung, a Nephrologist (kidney specialist) from Toronto and from Dr. Eric Westman of Duke University. Referring to “the” LCHF diet fails to take this huge range into account. FACT 2: There is no one “goal” of LCHF diets. From my experience, most of the well-designed LCHF diets written by healthcare professionals and researchers are aimed at lowering insulin resistance (IR), which underlies the symptom of high blood sugar and Type 2 Diabetes. Weight loss is a natural byproduct of eating in such a way as to lower IR. FACT 3: LCHF diets that focus on weight management rarely aim for “rapid weight loss”. LCHF diets designed by healthcare professionals with a weight management goal generally aim for consistent weight loss and/or inches lost, and reducing abdominal obesity. Morbidly obese people or those with a great deal of weight to lose and who begin eating low-carb will lose weight rapidly at first, firstly from water-loss and then from fat loss. That is not the aim, but the result. Which LCHF diet? As mentioned above, there are many different LCHF-style diets and they differ substantially from each other. Fact 5: The term “restrictive” is not defined, so this statement really has no meaning. What are all LCHF diets “restrictive” in? Foods that are not included on an Atkins Diet are very different from what is not included on a Paleo Diet. Dr. Fung’s recommendations differ from Dr. Westman’s. For example, Dr. Fung does not limit any fats, and Dr. Westman does. Which LCHF-diet is “restrictive” and in what foods or nutrients? FACT 6: Which LCHF diet is restrictive and what is it restrictive in? 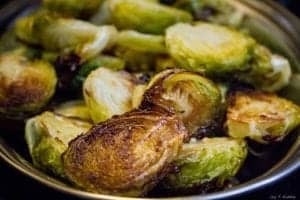 Is there evidence to support that people that stop eating those foods regularly are unable to continue to do so in the short- or medium term? FALLACY: “There is a difference between processed high-carbohydrate foods such as juice, sweetened beverages, white bread, pastries and sweets, and whole foods high in unprocessed carbohydrates such as brown rice, whole wheat, vegetables, fruits, legumes , which are associated with good health and the prevention of the risk of diabetes, cardiovascular disease and obesity.“. FACT: 7: all carbohydrates (whether from juice, fruit, pastry, brown rice or whole wheat) are broken down and supply the blood with glucose. FACT 8: how quickly all carbohydrates are broken down to glucose varies. FACT 9: how much insulin is released in response to all of these different carbohydrates is what most well-designed LCHF diets endeavor to address. FACT 10: Well-designed LCHF-diets have all three macronutrients in them; carbohydrates, protein and fat. The major difference is LCHF diets are low in carbohydrate and high in fat. Which carbohydrates are eaten on different LCHF diets vary. Paleo diets for example eat starchy vegetables that ketogenic-style LCHF diets don’t. In addition, which fats are promoted in the different styles of LCHF diets also differs. Paleo diets are known for promoting lots of red meat, including processed meat such as bacon and sausage and lots of full-fat cream and butter. LCHF diets, such as the one I teach, include the saturated fat found naturally in foods, such as in steak or in cheese but encourage the “high fat” part of the diet to come from mono-unsaturated fruits such as avocado and olives, from a wide variety of nuts and seeds, as well as from the oils from these foods as well as from omega 3 fats found in fish. It also includes the carbohydrates found in an abundance of non-starchy vegetables, specific fruit, nuts and seeds. A look at just a few of the recipe ideas posted on this web site, certainly do not indicate a “restrictive diet”. FACT 11: The Dietary Guidelines in Canada (and the US) have “attempted to isolate a nutrient – fat, and make it responsible for all ills”. In 1977, the Dietary Guidelines in both countries were first changed to restrict fat intake from all sources, especially saturated fat, in the belief that eating fat contributed to heart disease (see previous articles). While it is now known that dietary fats do not cause heart disease, and even the Canadian Heart and Stroke Foundation changed their recommendations in this regard, it is my conviction that it was this vilification of fat and the corresponding promotion of diets very high in carbohydrates (45-65% of daily calories as carbs) that contributed to the dual obesity- and Diabetes epidemics that we now have. A LCHF-style of eating can be done safely, with slow yet consistent weight loss, while being overseen by one’s doctor and monitoring blood glucose and lab work. It certainly doesn’t have to be restrictive, as one can eat meat, fish, seafood, poultry, cheese and other dairy, vegetables and fruit, nuts and seeds. It can provide a nutritionally adequate diet – certainly no less adequate that the average Canadian eats, following Eating Well with Canada’s Food Guide [see Do Canadian Adults Meet Their Nutrient Requirements Through Food Intake Alone? Health Canada, 2012, Cat. No. : H164-112/3-2012E-PDF]. I am not one for popular remedies for health issues. I don’t believe in “cleanses” and I don’t “eat clean” – or do I? If not eating any dairy is “clean” then I eat “dirty” because I use cream in my coffee, but if not eating gluten or grains is “clean”, then my eating is pristine. The problem with popular beliefs around food and eating and word-of-mouth remedies is there is no standardized means to define them or evaluate their effectiveness. Folk remedies, on the other hand, are in a different category. These practices, on which many nutraceuticals and even pharmaceuticals are based have GRAS standing (“Generally Recognized As Safe”) and have been used by cultures around the world for hundreds, if not thousands of years. The Chinese have made soup out of the nest of a particular swallow which builds its home on high cliffs. This “bird’s nest soup” is highly prized and very expensive to make, but considered to have restorative properties for those with breathing difficulties. As it turns out, this particular swallow’s nest is high in theophilline, a compound that has come to be used in Western medicine as therapy for respiratory diseases such as chronic obstructive pulmonary disease (COPD) and asthma. Bird’s nest from this swallow has a GRAS standing and can legally be purchased in traditional Chinese medicine stores. One can take medication or food containing the same active substance, and in both cases one’s symptoms improve. Bitter melon or bitter gourd / karela is widely grown in Asia, Africa and the Caribbean – both for food (prized for its bitter taste) and for its medicinal properties. In both Ayurveda, the traditional medicine (Hindu) of India and in Traditional Chinese Medicine (TCM) different parts of the bitter melon plant are brewed as a beverage and taken as a treatment for Diabetes. As it turns out, bitter melon, which has GRAS standing, contains polypeptide-p which is an insulin analogue. I’ve been hearing about the use of apple cider vinegar (ACV) since I first started reading about low carb high fat diets in early 2015, from Dr. Jason Fung, a nephrologist (kidney specialist) from Toronto. He recommended that 1 Tbsp. 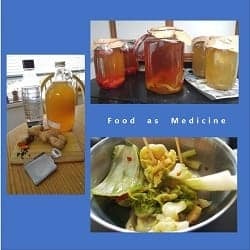 of unpasteurized ACV be taken in a glass of water prior to meals and that it be add it to broths, soups and marinades. He’d said that it inactivates the production of digestive enzymes and slows down the rate of digestion, stabilizing blood sugar levels. Since the recommendation to use ACV at the time did not come with any scientific evidence, I summarily dismissed the idea of using it. (2) my blood glucose would only drop into the 5-point-something mmol/ L range (~94 mg/dl) or to the 4-point-something mmol/ L range (76 mg/dl) range after an entire day of intermittent fasting. 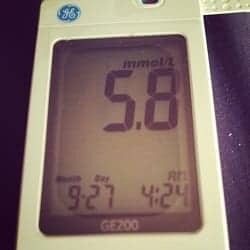 Since there are physiological risks associated with high blood glucose, I was very motivated to find out why they were high in the morning and to do something about them. I decided to keep detailed food records for 3 weeks to see if there was a patter, and ruled out diet. 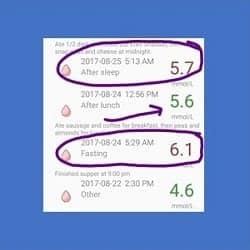 Then, I decided to take my blood sugar several times each night, from midnight until 8 am, over several days, to see when it rose. As it turned out, it would drop nicely after supper (as it would after eating at any other time of the day), to 7-point-something mmol/l (~130 mg/dl) after an hour or so, and then to 6-point-something mmol/L (121 mg/dl) around midnight, and then it would gradually begin to rise from ~2 am, reaching its highest point around 8 am, following the circadian rhythm of cortisol. Since it seemed that my high morning blood sugar was due to cortisol rising after went to bed until 8 am, and since cortisol can be affected by many things including stress, I took up going for a walk after supper. It did help! My morning blood sugars were in the mid-6-point-something mmol/L (~117 mg/dl), which was a far-cry from the 8.0 mmol/L (144 mg/dl) level it had been! The evening walks, however, were short lived due to a shift in the winds and the raging forest fires in and around the Lower Mainland which caused the skies to fill with Fine Particulate Matter, know as PM2.5 (as the are 2.5 micrometers or less, in size). Since these can enter the lungs and the blood stream resulting in ill-effects, my walks stopped. In fact, if I did have to go out, it was with a vented N-95 mask. The smoke briefly cleared being replaced by stifling heat in the mid- to high-30 Celsius (100 F) for 10 days, followed by more smoke, so I began to look for something- anything that might lower my morning blood sugars, which at this point were hovering in the 7.6 mmol/L mmol/L (137 mg/dl) range! At first I tried doing a short workout on my Nordic-track or using my “step” before bed, but it didn’t do much for my blood sugars and made me far too awake to fall asleep. Having some unpasteurized, unfiltered ACV in the house, I decided to try it. It tasted terrible!! I tried adding it to water and it was still awful! I couldn’t bring myself to drink it!! A few years ago, in an effort to drink more water each day, I began drinking Club Soda / Selzer and then purchased a Sodastream machine, to carbonate my own (filtered) water. I usually drink it plain, but have been known to put a twist of fresh lemon or lime in it. I tried adding 1 Tbsp of unpasteurized ACV to 1 litre (quart) of carbonated water but I still couldn’t drink it! All I tasted was sour! Needing to mask the taste, I decided to grate a bit of fresh ginger root into it and “ACV Gingeraid” was born! The first time, I drank a litre (~ quart) of “ACV Gingeraid” mid-morning, and my blood sugar dropped from 7.3 mmol/L (132 mg/dl) to 6.6 mmol/L (119 mg/dl) in an hour. I thought to myself that maybe it would have dropped the same amount if I had done nothing. I hadn’t had anything to eat or drink (except a coffee with only cream in the morning) but presumably under the effect of cortisol and my body’s own making of glucose from fat stores, my blood sugar continued to rise from 6.6 mmol/L (119 mg/dl) at 5:30 AM, to 7.7 mmol/L (139 mg/dl) just before 10 AM. That was just too high – and I hadn’t eaten! 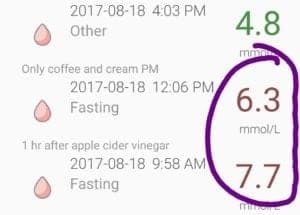 So, I made and drank a second bottle of ACV Ginger-aid and in 1.5 hrs, my blood sugar had dropped to 6.3 mmol/L (114 mg/dl). Then by 4:00 PM, and drinking no additional ACV Ginger-aid, it was 4.8 mmol/L (86 mg/dl). I would previously only get to those kinds of numbers just before dinner, when I was on an intermittent fast day. This was 2-2.5 hours earlier. Several days in a row, the same thing would happen, with only slightly different numbers, some of them lower. My blood sugar would be around 7.3 mmol/L (137 mg/dl) 2 hours after dinner and I would drink most of a bottle of ACV Ginger-aid before bed, and in the morning my FBG would be in the 6’s mmol/L (~119 mg/dl). Could it be because of the drink? One day, quite by chance, I had some fresh turmeric root in the house (because I use it in cooking and because I like the taste). As well, is a potent antioxidant and the curcumin (the active compound in turmeric) has been demonstrated to have anti-carcinogenic properties). I decided to add a little bit of grated turmeric root because I thought the turmeric would taste good with the ginger (it did!). I also added a bit of freshly ground black pepper to the Turmeric-ACV Ginger-aid, because I had read that black pepper makes the curcumin in the fresh turmeric root 2000 times more bio-available. But what happened to my blood sugars was quite surprising. It became evident that for me, using “food as medicine” has had some very impressive results! Just 3 days earlier, I was impressed because by 4:00 PM my blood glucose was 4.8 mmol/L (86 mg/dl) – which was a good 2.5 hours earlier than usual. Since adding the turmeric to the ACV Ginger-aid, I was getting numbers in the mid-4 mmol/L (i.e. 4.6 mmol/L / 84 mg/dl) by 2:30 in the afternoon! By drinking the Turmeric-ACV Ginger-aid before bed, my morning FBG is consistently in the low 6’s mmol/L (~110 mg/dl) and on a few occasions, ”ve been getting numbers in the high-5s mmol/L (103 mg/dl). I was considering Metformin to get these kinds of results! This is by consuming ordinary food found in my kitchen! I continue to eat LCHF and I usually intermittent fast breakfast, as I’ve never been much of a “breakfast person”. I occasionally don’t eat until mid-day as that is when I usually first feel hungry. My blood sugars are the best they’ve been since I started measuring them. Now, 2 hours after meals my blood sugar is usually in the low 6’s mmol/l (~110 mg/dl) and the ONLY change has been adding this beverage before bed and occasionally one plain ACV Ginger-aid through the day. Just to be a ‘good scientist’, last night I deliberately ate 1/2 a dark chocolate bar (72% cocoa) and drank 3/4 of a bottle of plain AVC Ginger-aid (no turmeric) and tested my blood glucose this morning. It was 6.6 mmol/L (119 mg/dl). That’s crazy! I was expecting 10 or 11 mmol/L. That’s what it used to be just a few weeks ago, when I’d eat a little bit of dark chocolate! NOTE: I wanted to see what would happen if I ate the same way but discontinued the beverage. My blood sugar went up to 8.8 mmol/L the first morning after not having any the previous day and was 8.6 mmol/L the following morning. The third day, I drank only one bottle in the afternoon and on at night before bed and the following morning, my fbg was 7.2 mmol/L (still way too high, but much lower). I anticipate it will continue to drop as I have 2-3 bottles of the mixture per day. Even thought I am NOT exercising (first because of the smokey conditions outside and because I fell back into old “bad-habits” of getting up early and working at my desk with my coffee), my blood glucose is what I would have anticipated would have occurred if I had taken Metformin. Keep in mind, I am “a sample-set of one”. There’s no saying that others will have the same, or even similar results. In addition, I do NOT encourage people to make any changes in the amount of medication that a doctor prescribed without being told by that doctor. This drink is NOT a substitute for medication that has been prescribed! That being said, for those who are not taking medication but have persistently high blood sugar readings does it not make good sense to consider trying such food as medicine? NOTE: I decided to find out if there was any scientific evidence for the anti-glycemic properties of ACV and did find a 2015 study, suggesting that it increases insulin-stimulated glucose uptake in those with Type 2 Diabetes (T2D), which I have. I then decided to look and see if ginger had anti-glycemic properties and found a 2015 study that reported that ginger significantly reduced FBG as well as HbA1c, along with Apo B, Apo B/Apo A-I, MDA and increased the level of Apo A-I in T2D patients. Naturally, I looked to see if turmeric was known to have anti-glycemic properties and sure enough, it did! I found a 2013 publication that indicated it is well-known that turmeric has a stimulatory action on pancreatic β-cells, and that this may be the mechanism by which it lowers blood sugar in those with T2D. Whether these substances used together have a far greater effect on blood sugar than any of them used separately would certainly make for an interesting study! WARNING: Given the possibility of these ordinary foods resulting in a dramatic drop in blood sugar, if you have Type 2 Diabetes or pre-diabetes, first discuss incorporating these foods into your diet with your doctor. As well, be sure to monitor your high blood sugar often if you drink these. 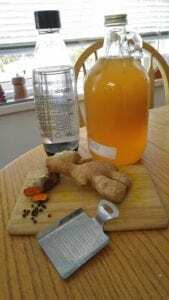 Click on the link under “Recipes” for ACV Gingeraid with Variations – food as medicine. Enjoy! When people think of getting enough “fiber” they often imagine foods like “bran” and prunes – foods not usually eaten when one is following a LCHF style of eating. But what is fiber and how do we get enough when we don’t generally eat grains or legumes? 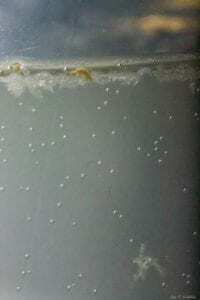 There are two kinds of fiber, insoluble and soluble. Insoluble fiber is what most people think about when they think of “roughage” needed to form stool and prevent constipation. It helps form the bulk of the stool. Insoluble fiber is naturally present in the outside of grains, such as whole grain wheat, un-milled brown rice and the outside of oats. It is also found in fruit, legumes (or pulses) such as dried beans, lentils, or peas, some vegetables and in nuts and seeds. Soluble fiber forms a ‘gel’ in the intestine and binds with fatty acids. It slows stomach emptying and helps to make people feel fuller for longer, as well as slow the rate that blood sugar rises, after eating. Soluble fiber absorbs water in the gut, and helps to form a pliable stool. Soluble fiber is found on the inside of certain grains, such as oats, chia seeds or psyillium, as well as the inside of certain kinds of fruit such as apple and pear. Dietary Recommendations for dietary fiber intake varies with age and gender. Men under the age of 50 years are recommended to take in 38 gm / day of dietary fiber, and men over 50 years to take in 30 gm / day. Women under 50 years old are recommended to take in 25 gm of fiber per day and over 50 years, 21 gm per day. Both kinds of fiber are needed and most Canadians eating a conventional diet are getting half of what is recommended. 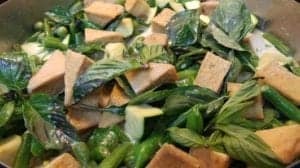 For those eating a Low Carb High Fat Diet, even though grains and legumes are generally not eaten, getting enough fiber is not that difficult. Avocado – Surprisingly, avocado which is an excellent source of vegetable fat, is also high in fiber, having more than 10 gm fiber per cup (250 ml). 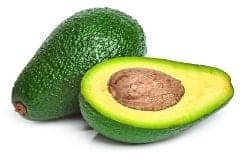 Avocado grown in Florida which are the bright green, smooth-skinned variety have more insoluble fiber than California avocado, which are the smaller, darker green, dimpled variety. 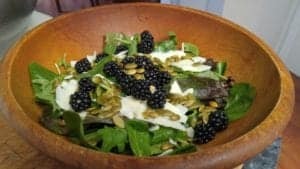 Berries – Berries such as blackberries and raspberries are fruit that I encourage people to use sprinkled on salads, as they are an excellent source of antioxidants, but also have 8 gm fiber per cup (250 ml). 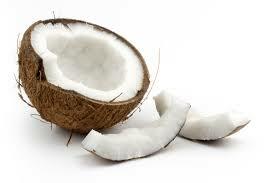 Coconut – Fresh coconut meat has 6 gm of net carbs per 100 grams of coconut, but also packs a whopping 9 gms of fiber and is a very rich source of fat (33 gms per 100 gm coconut). 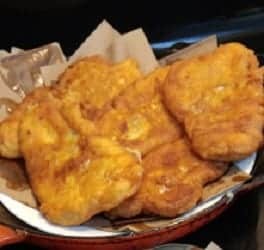 It can be purchased peeled, grated and sold frozen in many ethnic stores or in the ethnic section of regular grocery stores. 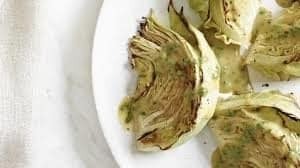 Artichoke – Artichoke is a low-carbohydrate vegetable that is delicious boiled and it’s leaves dipped in seasoned butter. Surprisingly, one medium artichoke has over 10 gm of fiber. Okra – Okra, or ‘lady fingers’ is a staple vegetable in the South Asian diet and is commonly eaten in the Southern US. 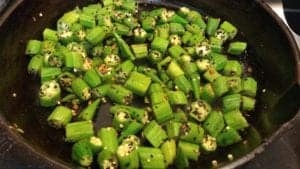 Just one cup of okra contains more than 8 gm of fiber. 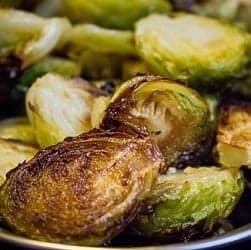 Brussel Sprouts – These low-carb cruciferous vegetables are not just for Thanksgiving and Christmas dinner. Split and grilled on the BBQ with garlic, they are a sweet, nutty addition to any meal, packing almost 8 gm of fiber per cup. Turnip – Turnip, the small white vegetable with a hint of purple is not to be confused with the pale beige, larger rutabaga. Turnip contains almost 10 gm of fiber per cup. 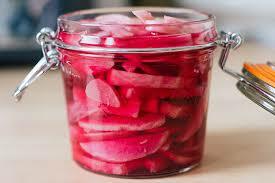 It is delicious pickled with a single beet, and eaten with Middle Eastern foods. Even though passing stool is as natural a part of the process as eating is, most feel awkward discussing it. Many don’t know what “normal” is in that regard, or even if there is such a thing. Is once every few days okay, is it detrimental if it is only once a week? Should it be every day and if so, is more than once a day too much? Does texture matter or is it only frequency? Many physicians consider normal bowel movement (BM) frequency from 3/day to every 3 days whereas I tend to lean towards daily to every two days as preferable. Even if BM frequency is in this range, hard, painful to pass stools are problematic and would be categorized as constipation. 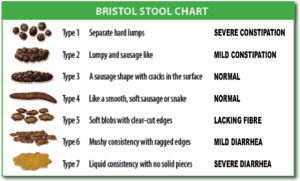 Since the mid-1990s there is a standardized method to classify the texture of stools, called the Bristol Stool Chart based on research which indicated that stool is a useful surrogate measure of how long feces (stool) takes to go through the large intestine (called “colon transit time”). While Type 3-7 are considered valid for diagnosing diarrhea, Type 1 and Type 2 stool can have normal “transit time”, but be compact and hard due to lack of fluid / water. The fact is, many, if not most people either have a lack of fiber or a lack of sufficient fluid or both and are constipated to a greater or lesser degree. They eat every day, but they don’t pass stool often and when they do, it is hard and compact. Their bodily waste sits in their colon for several days before finally being eliminated – and when it is, it is hard, dry and compact and often painful to pass. Sometimes, despite eating the foods mentioned above, people find it isn’t sufficient. This is where what I have dubbed “birdseed” comes in. Of course, I don’t mean actual birdseed! What I call “birdseed” is a mixture of 1 tbsp. 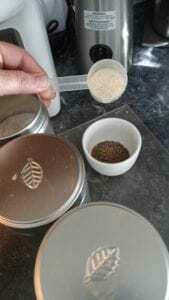 freshly ground whole flax seed (3 gm fiber per tbsp.) to which 1 tbsp. 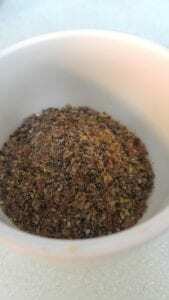 of chia seed is added (5.5 gm fiber per tbsp.). 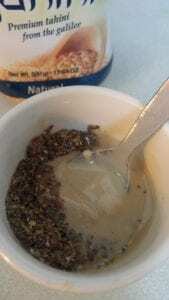 The chia seeds are ground a little bit with the previously ground flax seed, and then the two ground seeds are placed in a small bowl. 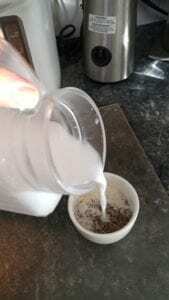 An added portion of psyllium husk (1 tbsp.) is optional. To drink this mixture, diluted coconut milk can be added, the mixture briefly stirred and then drunk quickly, followed by a good amount of water (I recommend at least 2 cups (500 ml). For even more fiber and a delicious taste, 2 tbsp. of tahini (ground sesame paste) can be added and the mixture eaten with a spoon. 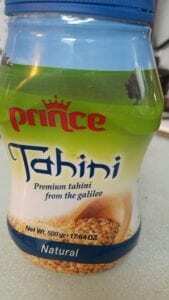 Tahini has 0 net carbs, and almost 4 gm of fiber for 2 tbsp. 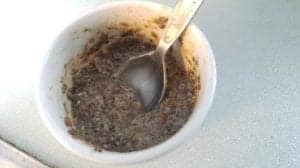 Note: people often ask if they can make “chia pudding” to which they add ground flax seed, but the idea here is to have the flax and chia seeds do their magic in the intestines, not in a container, beforehand. Water – how much is sufficient? Dehydration is another factor that contributes to constipation. Often people simply don’t drink enough water to form a bulky, pliable stool. The Reference Daily Intake (RDI) for water for men over 18 years is 3.7 liters per day and for women over 18 years, 2.7 liters per day and this is from all water, including that contained in beverages. Drinking one liter of water or club soda / seltzer with each batch of “birdseed” is a good idea, because the last thing we want is to have all this insoluble and soluble fiber this in our intestines, with insufficient water. In the worse case scenario, this can result in an intestinal blockage, so be sure to drink sufficient water when taking “birdseed”. I usually recommend that people start off with having 1 tbsp of flax seed and 1 tbsp of chia seed once a day – increasing after a few days if needed to twice (or if needed, three times) a day – making sure to drink a liter of water immediately afterwards. What about carbs in “birdseed”? While flax seed, chia seed and psyllium are grains, they have very few net carbs. 1 tsp of whole flax seed (3.4 gm) is so high in fiber that it has no net carbs. 1 tsp of whole chia seed has only .3 gm of net carbs. Even if you add 1 tsp of psyllium husk, that adds only 1 gram of carbs. “Birdseed” can be drunk as described above, eaten with sesame paste (also very high in fiber and a good source of healthy fat), or sprinkled on salads or omelettes. …and remember to drink a liter or so of water each time you take “birdseed”, so that passing stools daily, just like eating daily, will be the norm. Finally! Like anyone else who’s been working long and hard towards achieving their health goals, I’m so excited that I’ve finally made a significant ‘breakthrough’! I didn’t think it would take this long, but when I think that it has taken me close to 20 years to become this insulin resistant, it only makes sense that it is going to take some time to become insulin sensitive again! Last night, for the first time since I was diagnosed with Type 2 Diabetes (T2D) ten years ago, my 2 hour post-prandial blood glucose (i.e. two hours after a meal) was 5.8 mmol/L (105 mg/dl). This means that the delaying the time between meals that I have been doing each weekday is starting to have its effect. When insulin was released after I ate dinner last night, my cells responded to insulin’s signal and took up the glucose from my blood, into my cells! This is what is supposed to happen, but from years and years of eating a diet that had far to many carbs (mostly as “healthy” fruit and milk), my cells had become non-responsive to insulin’s signal. The glucose (the blood sugar produced after food is digested) would stay at high levels in my blood because even though sufficient insulin was being produced and released by the βeta-cells of my pancreas, my cells had become insensitive to its signal. My cells had become insulin resistant – they were ‘deaf’ to insulin’s signal. Last night, for the first time that I’ve observed, my cells responded to insulin properly! Like a hearing-impaired person hearing for the first time, my cells could ‘hear’! My cells aren’t yet ‘healed’. They and my liver are still insulin resistant which is evidenced by the fact that even though I haven’t eaten anything since dinner last night, my blood glucose is high. As it is supposed to do in response to both a low-carb diet and intermittent fasting, my body is breaking down my fat stores for energy (lipolysis) and the free fatty acids that are released are being used to produce glucose for my blood (in a process called gluconeogenesis) and ketones for my other organs, including my brain. My blood glucose should increase from the gluconeogenesis, but it shouldn’t stay high! In a perfect world, my blood glucose should be maintained around 4.0 mmol/L (72 mg/dl) when I am intermittent fasting, but it is much higher than that. The VERY good news is, it is falling to these ideal levels earlier and earlier each day, as I continue to intermittently fast Monday to Friday. It used to be late in the afternoon before my blood glucose would finally fall to 3.9 – 4.2 mmol/L, but over the six days it has been falling to these levels earlier and earlier each day. Last Thursday, while checking my blood glucose every 2 hours, it dropped to 3.2 mmol/L at 1:55 PM and I immediately ate some carb-containing food, but the next day, late in the afternoon it only reached 4.8 mmol/L at 4:00 PM, despite me delaying the time between meals, both days. 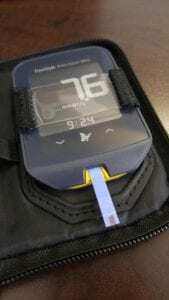 As someone with Type 2 Diabetes, I have to monitor my blood sugars every few hours when I am delaying meals, to be sure my blood sugar is being maintained by my body breaking down fat. Monday, my blood glucose was 3.7 mmol/L (67 mg/dl) at 4:00 PM and yes, I ate something immediately. Today (Wednesday) it was 4.5 mmol/L (81 mg/dl) at noon! Best of all was that last night, 2 hours after eating, my blood glucose was only 5.8 mmol/L (105 mg/dl) – not just ‘normal’, but well below the non-Diabetic cutoffs! This is what I have been waiting for! Ketones (also called ‘ketone bodies’) are naturally occurring molecules (acetoacetate, βeta-hydroxybutyrate, and their spontaneous breakdown product, acetone) that are produced for energy while people are sleeping, or when they haven’t eaten for a while. Ketone production is natural and normal and occurs to everyone – otherwise we would need to get up at night to eat! Ketones are picked up the body’s tissues and converted into something called ‘acetyl-CoA’ which then enters the citric acid cycle and is burned in the cell’s mitochondria (the ‘powerhouse’ of each cell) for energy. When we are sleeping, or are eating low-carb high health fat or simply not eating for a while, this is what our body uses as fuel instead of glucose. When eating low carb over an extended period of time, the body makes the little bit of glucose it needs for our brain and blood from fat and uses ketones for the rest. Ketones can be easily and inexpensively detected in urine using a test strip, such as Ketostix®. When people are at a low level of ketosis, they produce both acetoacetate and βeta-hydroxybutyrate in approximately equal quantities. These ketones are used by the muscle cells for energy. 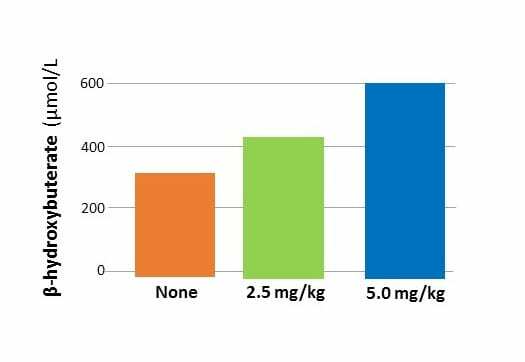 Ketostix® only measures the amount of acetoacetate in the urine. For those that choose to eat very low carb and remain in ketosis for a while, their body’s will take the acetoacetate and convert it to βeta-hydroxybutyrate. Since Ketostix® only measures acetoacetate, the strips may become lighter and lighter because there is less acetoacetate in then urine. This is when blood ketone strips becomes helpful. Abbott Laboratories® produce a small serum monitoring system that can test either blood glucose levels or serum β-ketone levels, using different test strips. The glucose strips cost about the same as glucose test strips used with other glucometers, but the β-ketone test strips are quite costly, costing between $3-$5 each, depending on where they are purchased. I don’t use them very often – only to make sure I don’t let my ketones get too high. Note: I take a rather conservative approach to low carb eating and don't see any need to lower carbs to such a point as people are producing large amounts of ketones. I encourage insulin-resistant clients who are eating low carb to monitor both their blood sugar and ketone production often and to discuss their results with their doctors. 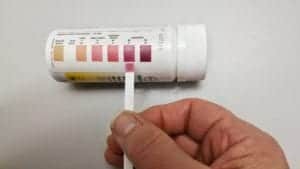 The β-ketone test strips measure the amount of βeta-hydroxybutyrate in the blood. This morning, about an hour after I measured my fasting blood glucose at 7.8 mmol/L, I measured my fasting β-ketones (which measures the amount of βeta-hyroxybuterate in my blood) at 1.6 mmol/L. A low level of serum βeta-hyroxybuterate is considered 0.34 mmol/L and a mid-range level of serum βeta-hyroxybuterate is considered 2.36 mmol/L, so I was in the low-mid range level, which is the highest level that I go. I am also monitoring my blood sugar every two hours to make sure that my blood sugar level is being maintained adequately. Note: as they say on TV “don’t try this at home”. Be sure to discuss following a low carb diet with your doctor first and also discuss whether there are any health reasons to avoid remaining in mild ketosis for any period of time. At these levels, my body is happily breaking down my own fat stores for energy and the free fatty acids that are being released are being used to produce glucose for my blood (via gluconeogenesis). This is evident by my blood glucose being 7.8 mmol/L around 9:30 AM today. My body produces ketones (as evident by my βeta-hyroxybuterate being 1.6 mmol/L) an hour later and these ketones are being picked up my body’s tissues and are being converted into acetyl-CoA, which is being burned by my cells mitochondria for energy. These ketones not only fuel my brain, so I can work, they also fuel my body so I can exercise. Yes! I aim to do some kind of exercise for 30-45 minutes most days. This is the BIG difference between “starving” and “fasting”. I’m fat-adapted and I have plenty of fat stores to burn, so my body is really quite happy burning my own fat stores for energy while maintaining my blood sugar using the carbs in my diet and the glucose synthesized from my fat. When I speak of ‘exercise’, it’s not crazy intense, but it is my getting my body ‘moving’. 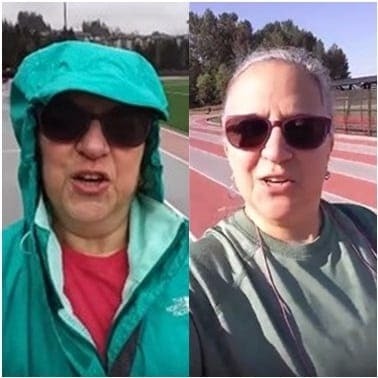 All my morning walks (with and without Nordic poles) – from the very first one 5 1/2 months ago, have been done fasting. 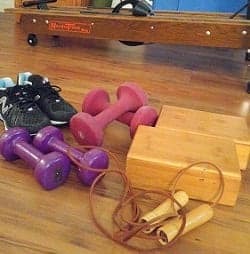 Yesterday I did 15 minutes of aerobic exercise and 30 minutes of lower body resistance training – not in a gym, but at home. I was fasting…and continued to fast until late in the afternoon. Remember, my body is breaking down my fat stores for energy and I have plenty of those! all the “gym” I need! I’m not a member of a gym. 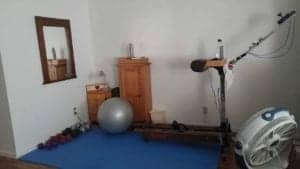 I have a corner of one room set up with my Nordic Track ski-machine, a few free-weights (2#, 5#, 10# and for the future 20#), a floor mat, 3 levels of resistance bands, and a “step”. If I use my Nordic Track, I listen to music while I work out, and have a water bottle with homemade club soda (seltzer) close at hand. I have a Sodastream® machine, so I always have a steady supply. I am using the “step” or doing aerobics of some kind, I use some videos I found on You-Tube of a TV show I used to exercise to years ago. I always liked them because they gave lots of instructions so that only one muscle group at a time is being worked. That way, only one part of my body needs to recover, and I can work other parts the following day. If I am doing my free weights, I follow the routine I learned from a kinesiologist friend, when I took off the first part of the weight 5 years ago. I keep it simple and simply make part of every day doing something that requires me to ‘get moving’ and 3 times a week I aim to make that activity something that ‘breaks a sweat’. I don’t exercise to ‘lose weight’ – I’m active because it’s part of a healthy lifestyle. It’s good for my heart, for reducing stress and to increase muscle tone – and it makes me feel terrific. Sure, I still have a long way to go but a each week and each month passes, I am closer to my goal that I was the week or month before. I am certainly closer than had I never started! These three photos were taken on this date (August 23) in 2015, shortly after I had heard about low carb high fat eating from a retired physician-friend, last year in 2016 and today 2017. While there isn’t a huge difference weight-wise between last year and this year (14 pounds), the difference one can’t see is becoming evident. Yes, the progress it is painfully slow and it would be easy to get discouraged except that I have read the studies and seen the results that other clinicians have obtained with their patients. It’s twenty-five weeks since I started – just about 1/2 a year, but my hard work and determination to ‘stick with it’ is paying off. Last night, for the first time since I was diagnosed as having Type 2 Diabetes, my cells provided evidence that they are beginning to respond to the signals from insulin the way they are supposed to. This afternoon, they did it all again! This was even better than after dinner, yesterday! It took longer than I expect, but it’s happening! So, one day at a time, one week at time, the weeks add up to months and the months to half a year and in half a year, I have measurable progress! Oh, did I forget to mention that my weight is down again? I am seeing “numbers” I haven’t seen since I gave birth to my children! Slow, yes – but very sure. Now let’s see what I’ll accomplish in the second half of this year! Want to know how I can help you accomplish your health goals? Why not send me a note using the “Contact Us” form above. INTRODUCTION: This recent Canadian study reports that the caffeine contained in 1 1/2 to 3 cups of unsweetened coffee is sufficient to increase plasma levels of ketones, including β-hydroxybuterate, for several hours. A pilot Canadian study conducted at the Université de Sherbrooke in Sherbrooke, Quebec and published in the Canadian Journal of Physiology and Pharmacology on November 25, 2016 evaluated the effect of caffeine on the production of ketones in healthy adults. Researchers were interested in caffeine as a ketogenic agent based on its ability to increase lypolysis (the breaking down of fat for fuel). Two different doses of caffeine were administered to 10 healthy adults who had fasted for 12 hours and who then ate a breakfast that containing 85 gm carbohydrate, 9.5 gm fat and 14 gm of protein. The subjects plasma caffeine levels were measured over the next 4 hours and it was found that those that drank 1 1/2 cups of coffee had~ 2.5 mg caffeine per kilogram of body weight and those that drank 3 cups of coffee had ~ 5.0 mg caffeine per kilogram of body weight. Subjects that had 1 1/2 cups of coffee (2.5 mg of caffeine per kilogram) had 88% higher ketone production than subjects that had no caffeine. Subjects that drank 3 cups of coffee (5.0 mg caffeine per kilogram of body weight) had 116% higher ketone production over subjects that had no caffeine. Expressed as the amount of β-hydroxybuterate in μmol/L, it is evident that this ketone rises significantly in response to caffeine, and rises in a dose-dependent manner. That is, the more caffeine consumed the more β-hydroxybuterate was produced. Researchers reported that the level of ketones found in the blood after 3 cups of coffee was approximately twice that produced after an overnight fast. This increase in plasma ketones obtained with these doses of caffeine could, at least in the short term (a few hours) contribute to ~5-6% of brain energy needs. The increase in free fatty acids as well as β-hydroxybuterate is explained by caffeine blocking phosphodiesterase (PDE), preventing the inactivation of cyclic adenosine monophosphate (cAMP) – with increased caffeine leading to higher levels of cAMP. Cyclic adenosine monophosphate (cAMP) is a cellular messenger that is involved with transferring hormones such as glucogon, which is the main catabolic hormone of the body and which functions to raise both the concentration of glucose and fat in the bloodstream and has the opposite effect of insulin). Glucagon needs cAMP in order to pass through the plasma membrane, so as a result cAMP serves to regulate glucose, fats and glycogen. cAMP activates hormone sensitive lipase, an enzyme which breaks down fat (lypolysis). This increased breaking down of fat, increases free fatty acids (FFAs), which can then be converted in the liver to the ketones acetoacetate and β-hydroxybuterate. While this is a small study, the data supports that a few cups of regular, unsweetened coffee (without any butter or coconut oil added) increases the amount of ketones produced for several hours. If you are following a low carb diet and are monitoring your blood or urine ketones, be aware that having coffee can increase the amount of ketones your body is producing. Okay, so it is Monday morning and a double or triple espresso cappuccino or latte is what you want, but not with all the carbs in the foamed milk. Since weight-loss is one of your goals, and you know from reading an earlier article on leptin differences in overweight versus lean people that drinking “bulletproof” coffee is not the best way to go, is there an alternative? 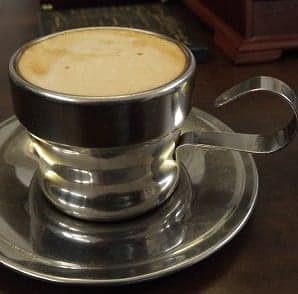 I call it “Bullet-less Cappuccino”. 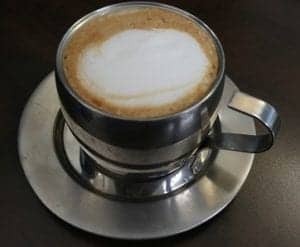 Bullet-less cappuccino (or latte) is made the same way as a regular cappuccino or latte, except instead of foaming milk (which has 12 carbs per cup! ), I use 1/2 oz of heavy (whipping) cream diluted with 2 oz of ice cold filtered water. 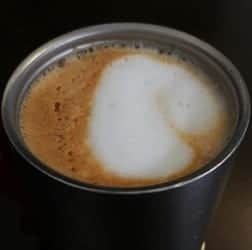 The ratio of cream to water can be changed to suit your taste and the amount of foam you want, and the total volume made can be adjusted depending on whether you want cappuccino or latte – but the good news is that regardless, the result is carb-free! Since my diet naturally contains ~ 75% healthy fat and I was quite overweight before (obese, actually), I keep the amount of cream used low, so I don’t need to add much extra fat outside of those found naturally in the foods I eat. This drink is very satisfying and is a great way to start an intermittent fast day. Yes, you can drink this while fasting as it does not cause an insulin release, because it is carb-free. Whether you make it yourself, as I do or ask the barista at your favourite coffee house to make it for you…enjoy! When people think of “fasting” what comes to mind is an almost-intolerable short period of time without food, and with nothing to drink (except maybe water) and where people usually spend most of the time counting until they can eat again. This is the case when we are used to burning carbs as our fuel source and then just stop eating. Our body slows its metabolism in response to the severe calorie restriction in an effort to spare energy. We feel cold, tired, lethargic and we find it difficult to concentrate because our body is in starvation mode. When we are fat-adapted, we use the fat in our diet (dietary fat) and our own fat stores (endogenous fat) as our fuel source. When we “fast”, we stop supplying our body with dietary fat, so our body relies solely on our fat stores to supply its energy needs. Most of us who are following a low carb high fat diet have plenty of endogenous fat, so when we aren’t eating, we don’t feel hungry, tired or cold because our body has a plentiful source of energy! Our basal metabolism doesn’t drop. Rather than feeling cold and tired and finding it difficult to think, we are able to think clearly using ketones produced from fat to fuel our body, rather than glucose. “Intermittent fasting” is simply increasing the amount of time between meals. Fasting is not eating or rather, not eating now. It’s different than “starving” because our basal metabolic rate is being maintained through our fat stores. When we are in starvation mode, our basal metabolism drops significantly in order to spare energy – that’s why we feel cold and tired, because our body is saving calories for our brain and our heart to function. Fasting also doesn’t mean that we can’t consume anything! There are plenty of things we can have during the delay before our next meal. The most natural “intermittent fast” is the one between after supper and breakfast the next morning. Yes, that is why it is called “breakfast”. 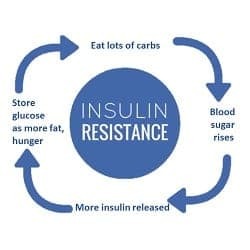 When we eat, insulin is released in response to the presence of carbs in the food we eat and functions to (a) move glucose out of the blood and to (b) store the glucose that is not immediately needed for energy, as fat. When we are accustomed (as most of us have been) to eating three meals a day plus having a couple of snacks, insulin is released every few hours. If we have been “grazing”, we have been constantly releasing insulin. As a result of this, our cells have become insensitive to insulin – something known as “insulin resistance“, or insulin tolerant. To conceptualize this, think of going into a room with loud music. At first your ears buzz and your auditory system is overwhelmed, but after a bit of time, your body adapts. It’s similar with smell. When you’re exposed to a pungent odor, at first that’s all your can concentrate on, but after time passes, your brain starts to “tune out” the signals from your nose and you become less aware of the smell. It’s not that the odor decreases, but our response to the odor, decreases as we become “tolerant” to that molecule bound to our olfactory receptors. The difference with “insulin resistance” is that it is more than our body becoming “tolerant” of the circulating insulin, it actually responds less to it. Think of someone that drinks considerable amounts of alcohol. They can have 3 or 4 drinks and not feel intoxicated, because they have a “high tolerance” to the ethanol in the drink. It takes more and more alcohol for them to respond. When someone is “insulin tolerant” (also called “insulin resistant”), the same amount of insulin has less and less effect, so to adapt, to be able to move the glucose out of the blood and store the excess energy as fat, the body needs to release more and more insulin. From years and years of eating 3 carb-based meals plus a couple of carb-laden snacks each day, our insulin levels simply don’t fall to baseline. 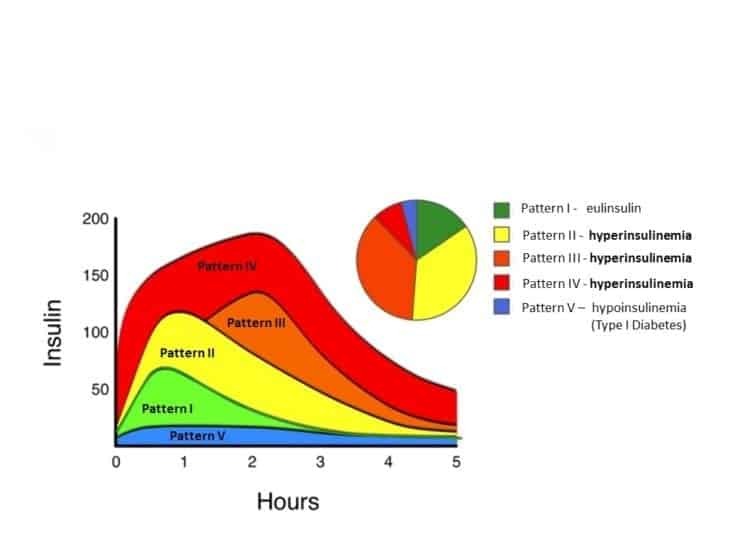 When someone is not insulin resistant, delaying the time before the next meal enables their insulin levels to fall to baseline (10-30 pMol) in approximately 12 hours, so if they don’t eat anything after dinner and their first meal of the day is breakfast the next morning, that time period is usually close to 12 hours. However, for people who are insulin resistant, a longer time period is often needed for their insulin levels to fall to baseline. Just as insulin resistance developed over time, gradually, a new lower baseline can be set over time by increasing the length of time that one intermittently fasts. A twelve-hour fast is the easiest one for most people to do, because during most of it, they’re asleep! This is the one I suggest to my clients once they’re fat-adapted (usually after ~4 weeks of eating low carb high fat) as all it entails is not eating anything after supper until breakfast the next morning. So, say they finish dinner at 6:30 PM, then the next time they eat is breakfast the next morning at 6:30 AM. This simple, short 12-hour “fast” is just enough to enable their insulin to fall to baseline. Doing this often, if not daily is the goal. This is entirely do-able and an important first step in restoring insulin sensitivity and it is certainly not something “radical”. Years ago, people didn’t eat after supper! People who have Type 2 Diabetes should check with their doctor before beginning doing any form of Intermittent Fasting – and definitely should do so if they are on any kind of medication to manage their blood sugar, blood pressure or cholesterol, without having their doctors oversee it. Medication will often need to be adjusted downward (and sometimes eventually discontinued entirely) as insulin sensitivity returns, so don’t do this without involving your doctor, first! Once people have become used to not eating from supper until breakfast, they may want to wait to eat their first meal until noon the next day, especially if they don’t feel particularly hungry in the morning. Some people are not “breakfast” people and if they eat well the night before, they may not want to eat in the morning. An eighteen hour “fast” is from after someone has finished dinner (say, at 6:00 PM) until noon the next day. 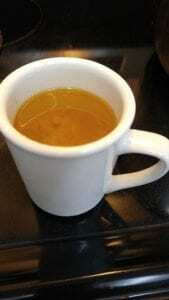 Many do want their cup of coffee, which is totally fine provided it is unsweetened. I don’t recommend that people use sugar substitutes, especially the sugar alcohols such as sorbitol, mannitol or xylitol which have the same number of carbs per teaspoon as ordinary table sugar. Cream can certainly be added to drip coffee and there’s no need to give up your morning latte or cappuccino – just a little creativity to replace the milk (which has almost as many carbs per cup as a slice of bread!). 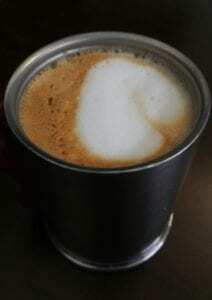 My trick is to foam 1/2 an ounce of cream with an ounce or ounce and a half of cold, filtered water. This makes fasting until lunch entirely possible!! Note: I don’t do these and I don’t recommend that my clients do these unless they are being very closely monitored by their doctor, however I want to describe them, so people know what they are. A twenty-four hour “fast” is from the end of supper one day, until the start of supper the following day (technically it is a 23-hour fast unless you add the extra hour ). As with the eighteen-hour fast, one can have unsweetened coffee or tea with a drop of cream, club soda (seltzer) with a twist of lime or lemon, or “bone broth”. 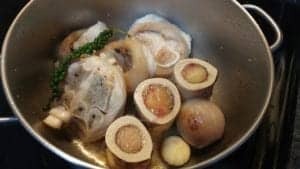 “Bone broth” can be made from any kind of meat, fish or poultry bones, but for me, when I think of “bone broth”, I think of a wonderful, rich broth made from beef marrow bones, that is gently simmered overnight on the stove, ready to be sipped as desired, on a fast day. To avoid getting constipated, many people will take psillium fiber with water each morning and which can be added to cups of “bone broth” or dissolved in a little bit of diluted coconut milk. What’s not to love about sipping this when “fasting”? 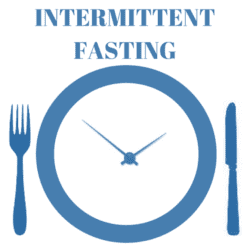 The main purpose of delaying the time between meals (“intermittent fasting”) is to restore insulin sensitivity. When we aren’t eating, we aren’t releasing insulin – and as we continue eating low carb high fat and delaying the time between meals, our insulin receptors become sensitive to insulin once again. Normalized blood sugar levels (both fasting blood glucose and HbA1C) is a natural byproduct, not the goal. The goal is releasing less and less insulin in response to the food we eat and our body’s sensitivity to the insulin that we do release, being restored. Weight loss is another added benefit! Have questions about how I can help you? Please send me a note using the “Contact Us” form on the tab above. 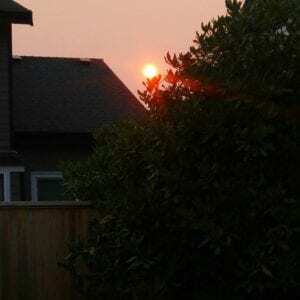 For the last 2 weeks, the Lower Mainland has been covered in smoke due to hundreds of wildfires in the area. The very poor air quality had made going for a walk impossible. 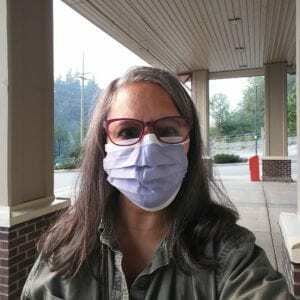 Everywhere I went, I needed to wear an N95 mask to filter out the particulate matter and with the excessive heat and reddish-yellow skies, I had no desire to be out any longer than I needed to. Over the weekend, cool marine finally air arrived and the air cleared for the first time in weeks. Finally it didn’t look like I was living on Tatooine. When I woke up yesterday, the first thing I wanted to do was go for a morning walk. 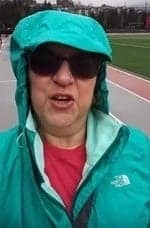 I walked 3 km around the local track and today I went again and decided to make a short video. When I went to upload it, I noticed how very different my face looked than from my first walk, 5 months ago (March 16 2017). I’ve only lost 13 pounds in the last 5 months since I began eating Low Carb High Healthy Fat, but the difference in how I look and how I feel is quite evident. As I’ve covered in previous “A Dietitian’s Journey” blogs, my blood work has certainly reflected the change. I don’t really do any exercise outside of walking and even then, I only started doing it regularly 7 weeks ago (June 22, 2017) and not for the last 2 weeks (due to the air quality advisory). Five weeks of walking has helped me tone my muscles a bit and lower my overall blood sugar, but not had any significant impact my weight loss. While for the last 8 weeks, I’ve delayed the start of my first meal (intermittent fasting) which has impacted my fasting blood sugar, it hasn’t really impacted my weight, as I consume the same amount of protein, fat and carbs per day, just over a shorter period. My weight loss has really only been accomplished by doing what I have been teaching my professional clients to do over the last 2 years; eating low carb and high healthy fat. I was tired of being the “fat Dietitian”! Now I’m now “practicing what I preach”. Is it hard? Not at all! This has to be the easiest way to eat and requires little, if no culinary skill. Sure, one can get pretty creative making all kinds of exciting ethnic foods if they know how to cook, but it is certainly not required! The difference in how I feel is truly all the motivation to keep doing it! Losing weight is a bonus. Want to know how I can help you achieve your own health and nutrition goals? Why not send me a note using the “Contact Us” form above. For the last two weeks, I have been living on Tatooine. Not really, but it certainly has felt like that – with smoky, red sunrises and sunsets, inhospitable heat and high levels of ground-level ozone. 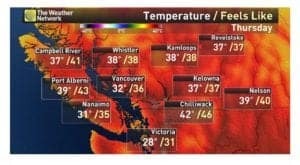 British Columbia, where I live, remains under a state of emergency as 148 wildfires continue to burn across the province, with this being BC’s worst fire season in almost sixty years. As a result, the air quality in many communities, including mine, has deteriorated to dangerous levels. 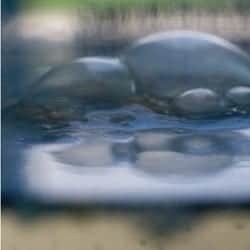 There have been high concentrations of fine particulate matter known as PM2.5 in the air, which are solid or liquid droplets with a diameter of ≤2.5µm (micrometres). Due to their small size, these particles easily penetrate indoors, even when windows are closed and are small enough to pass from the lungs into the bloodstream – putting people with lung or heart disease, Diabetes or asthma at risk. In addition to the smoky air, temperatures each day have been in the low- to mid-thirties Celcius (90-95 degrees Fahrenheit) which is highly unusual. Here in the Greater Vancouver area, we’ll get a few days in a row like that once or twice each summer, but not for two weeks solid! Thankfully I have air conditioning, but it has been brutal to be outdoors. Concentrations of ground-level ozone have reached and stayed at advisory levels. This is formed when pollutants given off by the forest fires and compounds from the solvents used to put out the fires react in the air, in the presence of sunlight. Even wearing an N95 mask outside which is designed to filter out the small smoke particles, I have found my breathing very laboured. Needless to say, my morning and after-dinner walks have been impossible. I tried exercising indoors, but my lungs were simply too irritated from the small smoke particles. I have continued with delaying the time between meals (referred to as “intermittent fasting”)but for shorter periods of time as my body is under physiological stress and I continue to eat a low carb high fat diet. My weight has dropped another pound over these last two weeks, despite no exercise at all. My blood sugar on the other hand is considerably higher without the walks. 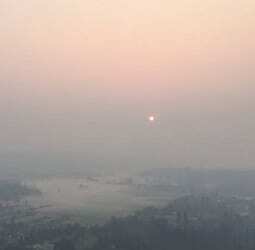 An air quality analyst with Metro Vancouver has reported that the weather is expected to shift this coming weekend, allowing some of the smoke to begin to dissipate. Until then, part of taking care of my health is not to exercise. Reporting from Tatooine, British Columbia, I’m Joy Kiddie, practicing what I preach. 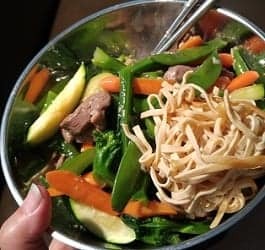 This recipe was made on the spur of the moment, when I felt like the taste and texture of Chow Mein, but without all the empty carbs of wheat or rice-based noodles. 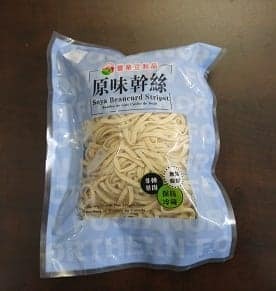 I found a package of Bean Curd Strips at the local Chinese grocery store and since they had almost no carbs in them, I decided I would see how they would “sub” for noodles. They were amazing! They were chewy and crispy – with almost no discernible taste of their own. I prepared them exactly as I would for real Chow Mein. I plunged them into boiling water for a minute and tossed them around so they softened, then lifted them out and placed them into a colander to drain and shocked them with ice water. I quickly blanched some cut up Chinese Broccoli (Gai Lohn) and sliced baby carrot in the same hot water, to save cooking time, later. 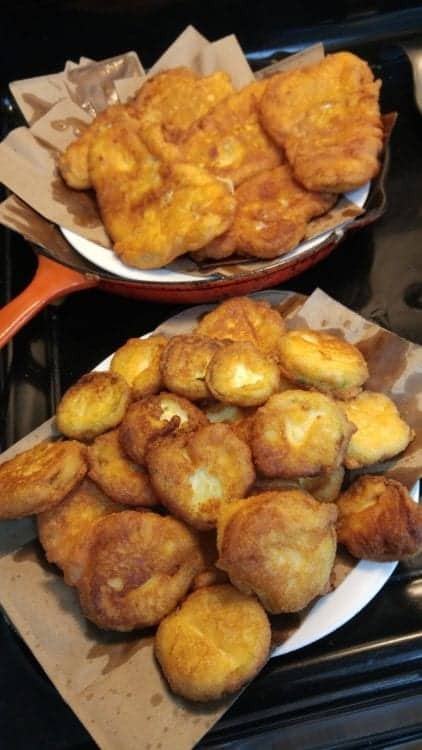 Then I heated a non-stick skillet on medium hot, added some coconut oil and fried the blanched Bean Curd Strips gently until golden and crispy on the bottom. I flipped the whole mass over and continued frying them on the other side, while gently grinding Himalayan Pink Salt on the top. I happened to have a defrosted boneless duck breast on hand, so I cut it in strips and marinated it in a mixture of real soy sauce, a bit of Chinese cooking wine and a splash of sesame oil. I heated up a wok, added some coconut oil and about a tablespoon of diced fresh garlic then stir-fried the duck breast until almost cooked, and set aside. 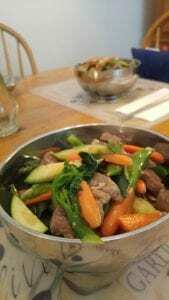 In the same wok, I added a bit more oil, a bit more garlic, then added in the blanched veggies and some sliced zucchini and snap peas that I had on hand, to round out the colour and texture, then added back the almost-cooked duck breast. I poured in a little bit of chicken stock and then when the whole thing was cooked, thickened it with the tiniest amount of tapioca starch and water – just to give the sauce some body. If I wasn’t a purist, I could have added butter to bind it, as the French would do. Any meat could substitute, as would any vegetable of your choosing. The focus, after all was the noodles…and they did not disappoint! It’s been 5 months since I began my own weight-loss journey, following a low carb high healthy fat diet and here is a short update. When I began this journey at the beginning of March, my fasting blood glucose was averaging 12 mmol/L. 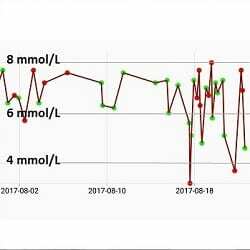 Four months into eating low carb high fat, my fasting blood sugar was averaging 8.5 mmol/L. 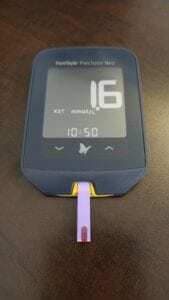 July 25th, it was measured at the lab and on my home glucometer as 8.0 mmol/L – still way above the cutoffs for those with Type 2 Diabetes of 6.0 mmol/L, and way above the normal levels of 4.5-5.5 mmol/L. It is highest is in the morning, I believe due to cortisol’s effect (see 4 month update, for details). I’ve been tracking my blood glucose regularly since I started implementing the dietary and lifestyle changes 5 months ago, and my 2 hr post prandial (after a meal) glucose had been averaging ~7.2 mmol/L, which is much better than the 7.7 – 8.6 mmol/L which is what it was at the beginning of March, but still no where good enough! …but I noticed that after I go for my brisk 3-4 km each morning, it is 5.4 mmol/L. This gave me an idea (see below). For about a week, I measured my blood glucose at 1 AM and 4 AM and 6 AM (in the interest of science, of course!) with a brand new glucometer that I standardized at the lab, when I had my fasting blood glucose and fasting insulin done on July 25th. My morning fasting blood glucose would rise to ~6.6 – 6.8 mmol/L (119 – 123 mg/dl) from the 5.4 mmol/L it was when I went to bed, even though I hadn’t eating or had anything to drink. This had to be the effect of cortisol! …and this is with walking 4 km / day and sleeping 8 hours (restful sleep). I need to come up with some additional strategies for lowering stress. 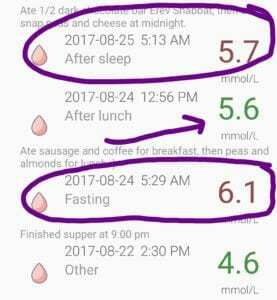 I also had my fasting insulin assessed the same day that I had my fasting blood glucose and fasting cortisol assessed (July 25 2017). 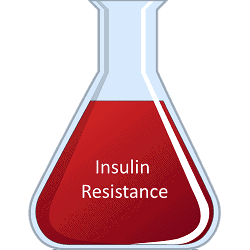 Based on the July 25th lab work, I calculated my Insulin Resistance using both Matthews (1985) Equations (HOMA1-IR), as well as using Oxford University Center for Diabetes, Endocrinology and Metabolism homeostasis model assessment (HOMA2-IR) calculator (2013). From when my fasting insulin and fasting blood glucose was last tested 2 years ago in August 10, 2015, my insulin resistance calculated by HOMA2-IR had gone down from 3.06 to 2.77, but it’s still too high because my fasting blood glucose remains high. One study reported that the average HOMA2-IR in the general (non-Diabetic) population is 2.1 +/- 2.2 (Diabetes Care, Volume 24, Number 3, March 2001), so I am guessing that a HOMA2-IR of 1.00 would be a healthy target – one that will likely take me a year to approximate. Whether that will be possible with diet and lifestyle change alone, has yet to be seen. I believe the reason that my blood glucose remains high in the morning is due to a combination of residual hepatic (liver) insulin resistance (from years of eating way too many carbs) and high cortisol that is stimulating an overproduction of waking glucose. The last 5 months, my fasting blood glucose has been consistently high at 8.0 – 8.5 mmol/L (144 – 153 mg/dl) and my 2 hour postprandial is fine for a Type 2 Diabetic at ~7.2 mmol/L – but a far cry from the non-Diabetic range I am seeking. …but I noticed that after I go for my brisk 3-4 km walk each morning, my fasting blood glucose is 5.4 mmol/L (yes, I go fasting). The effect of moderate exercise seems substantial, so I decided to see what effect there would be on my early morning fasting blood glucose levels if if I took a short walk after dinner. For the last week and a half, my blood glucose drops to ~5.2 – 5.4 mmol/L (94-97 mg/dl) after a very leisurely 15-20 minute walk around my neighbourhood. (2) I add a 20-minute walk after dinner. I am requesting that my physician provide me with a requisition to have my fasting insulin and FBG re-run in October, when I update my HbA1c, so I can recalculate my HOMA2-IR again and see how much less insulin resistant I am by then. I want to know the magnitude of the insulin levels dropping, not just the fasting blood glucose, which I expect, will drop…after all, the goal is to lower the very high levels of insulin. High blood glucose is a symptom – the cause is too much insulin being released, due to insulin resistance. As mentioned previously, I asked to be started on a very low dose of Ramipril (Altace) about 6 weeks ago, as my blood pressure had begun to creep up again. When I saw 160/90 mmHg two days in a row, I went to see my doctor. 64% of the time I am ≤ 120/80 mmHg, categorized as “Prehypertension”. …and 26% of the time, measured before I take my medication, I am ≤ 138/90 mmHg, categorized as “Stage 1 Hypertension”. I will continue to take the blood pressure medication as a temporary measure to offer some protection against heart attack, stroke and kidney damage until I lose some more weight, and my blood pressure stays down on its own. Overall, in the last 5 months, I have lost 12 pounds and ~3 inches off my waist. I’ve lost about the same number of inches off my neck circumference (3 inches) which has had a dramatic effect on how I look. I have a neck and ONE chin. I’ve lost overall about an inch off my mid-arm, an inch off on my thighs (gaining muscle and losing fat, at the same time) and lost around an inch off my chest. I need to get my cortisol levels down, as these are driving my high morning fasting blood glucose levels. Walking in the morning has been good, adding the short evening walk even better. Now I am adding (on alternate days from my 3-4 km walks) a workout with 5 and 10 pound weights and other forms of resistance training. I am even jumping rope (which has gotten much harder since when I last did it at around age 16!). The goal is to get my insulin levels down, and I am already doing everything that needs to happen for that; eating only the carbs necessary to have a nutritious diet, with no excess protein and extending the time between meals (intermittent fasting) a few days per week. Over the next 3-6 months, I expect fasting insulin will keep falling. 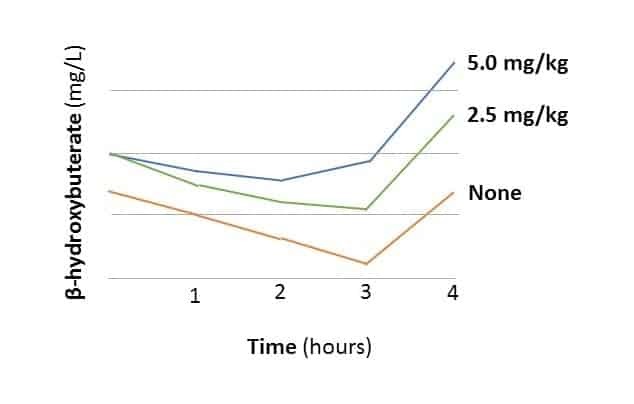 My goal over the next year is to reach a ‘normal’ 2 hour postprandial peak of 60 mIU/L (430.5 pmol/L) as determined by Dr. Kraft’s Insulin Response curves, which should be an Insulin Resistance (HOMA2-IR) of between 1.0 and 2.0. Over time, the fat in my liver (“hepatic adiposity”) will continue to decrease, and the derangement which took time to develop will resolve. While the rate of resolution to for me to achieve normal insulin metabolism is unknown, I know if I keep doing what I am doing, it should happen. It doesn’t always occur, but I won’t know if I don’t try. Want to know how I can help you achieve your health and weight goals? Why not send me a note using the “Contact Us” form, above. Want to know more? Why not send me a note using the “Contact Us” form above.